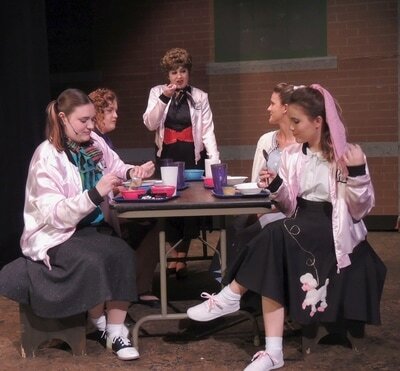 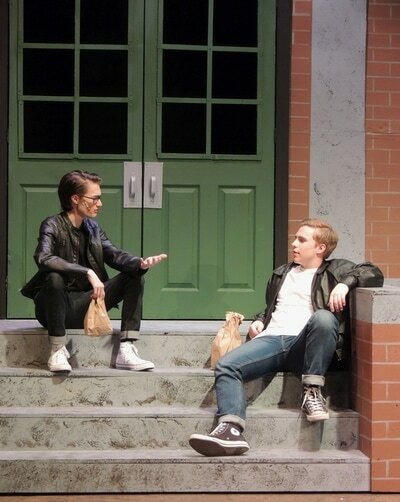 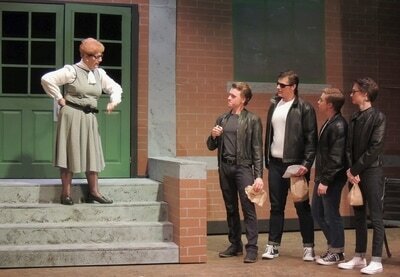 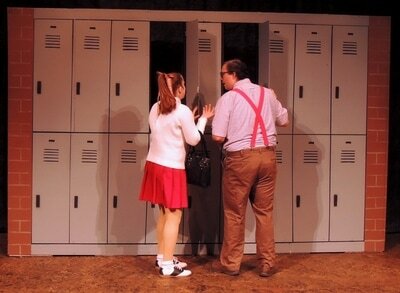 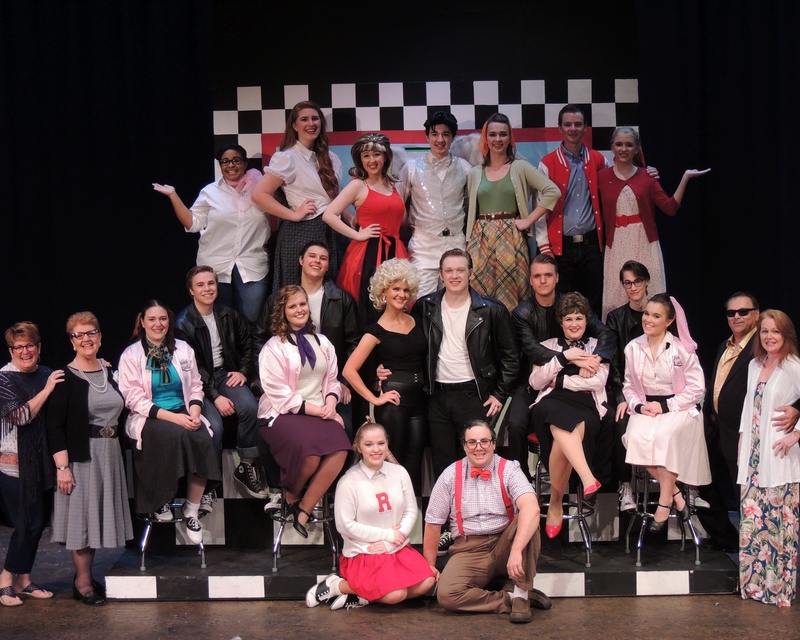 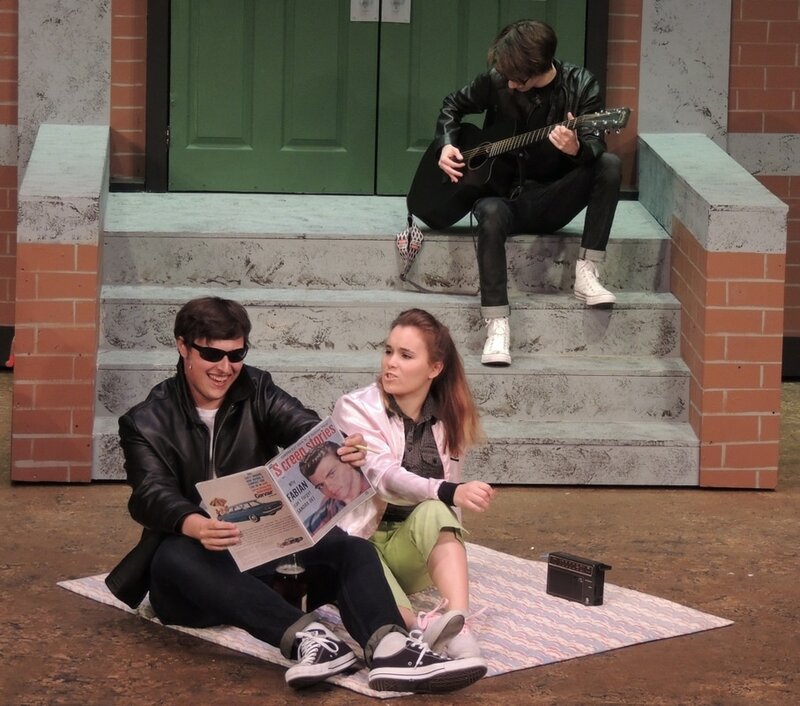 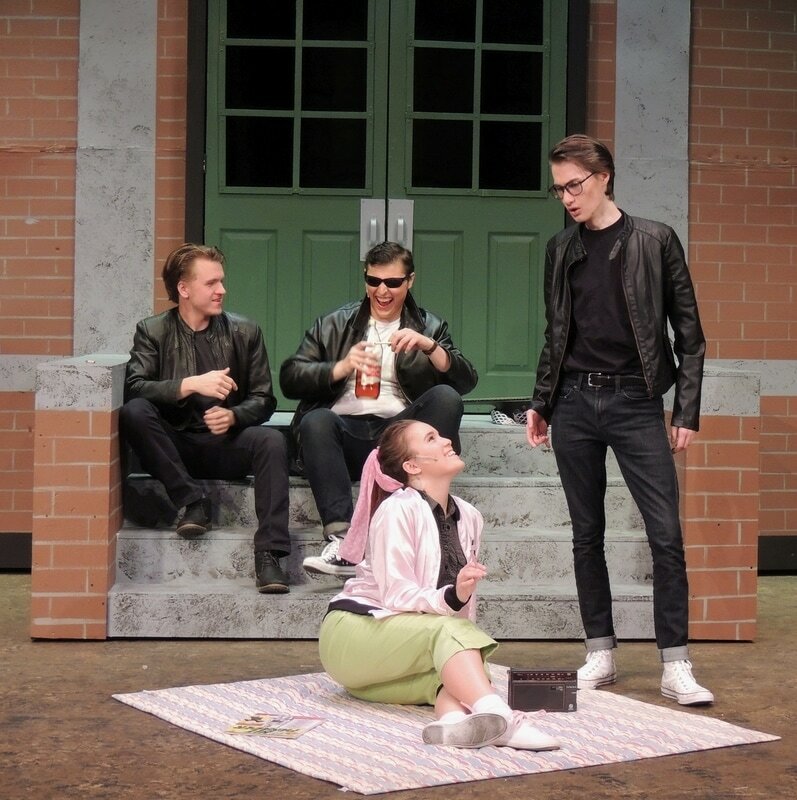 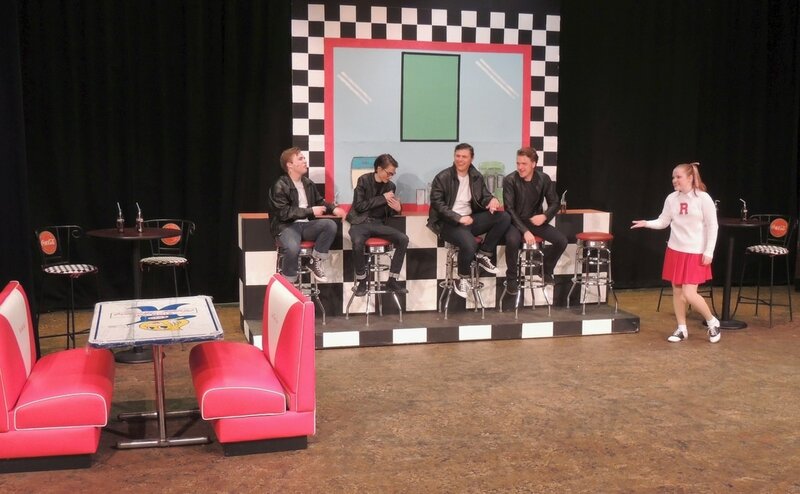 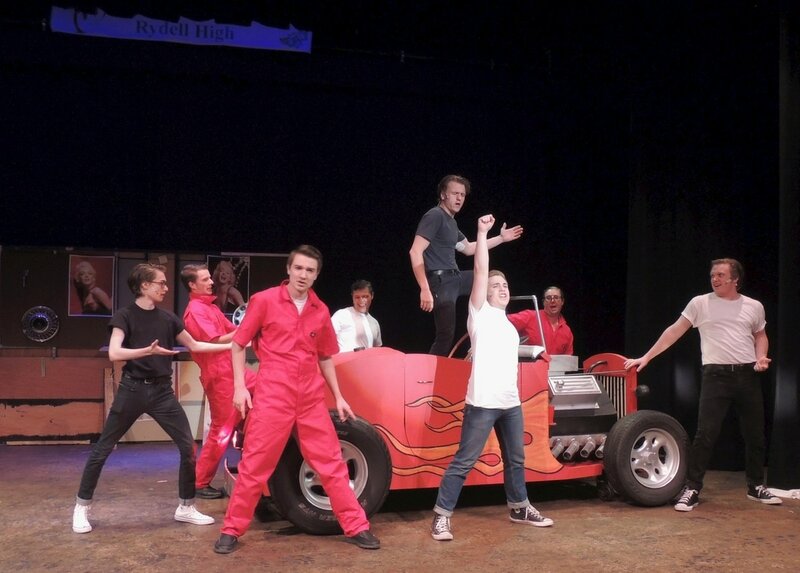 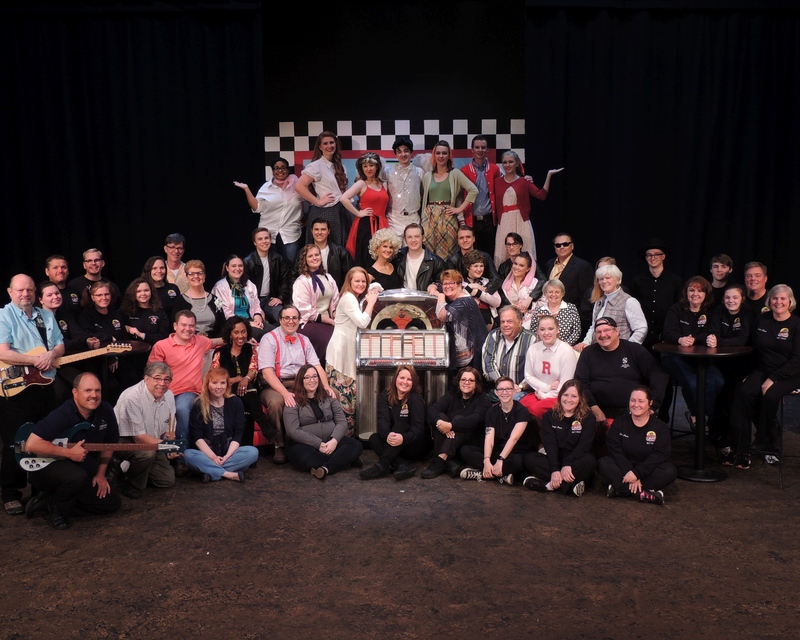 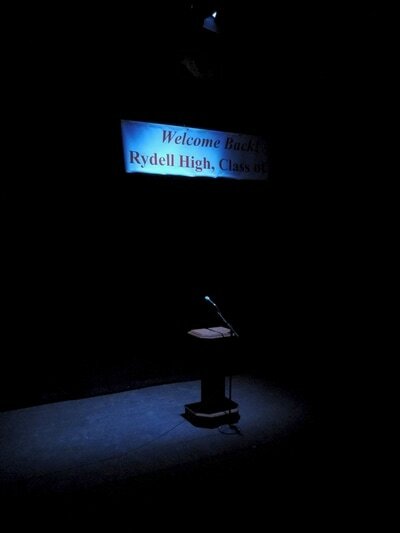 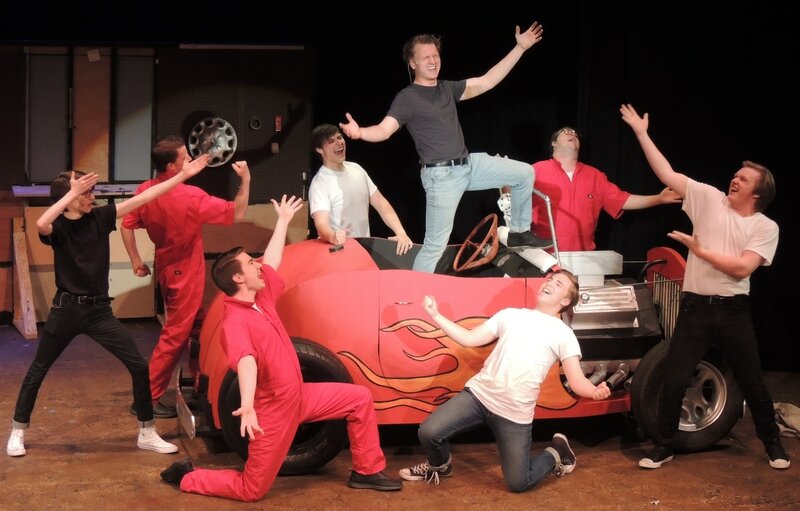 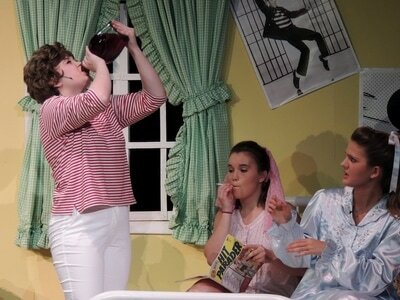 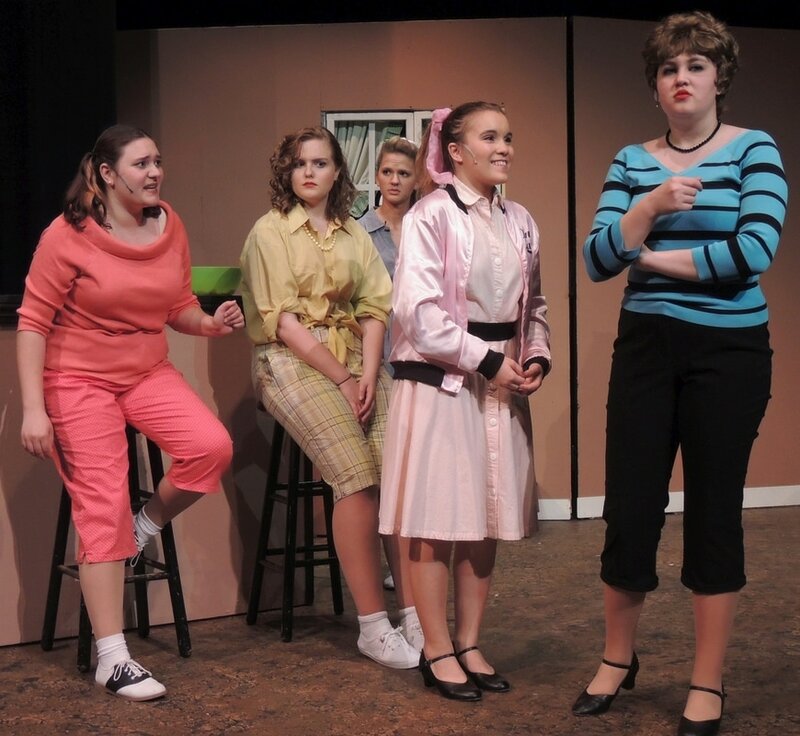 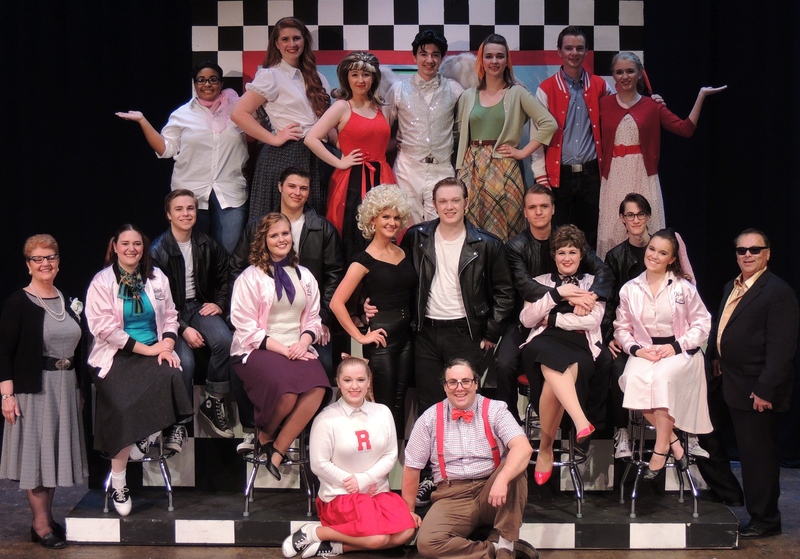 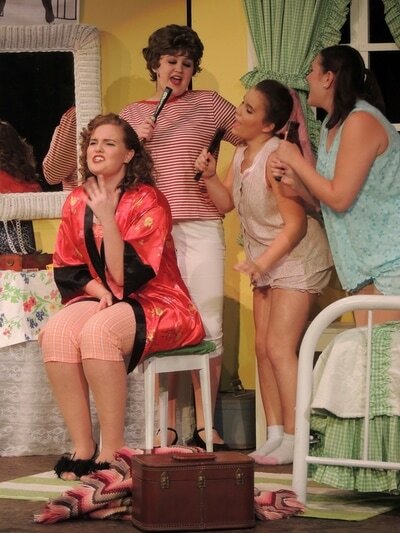 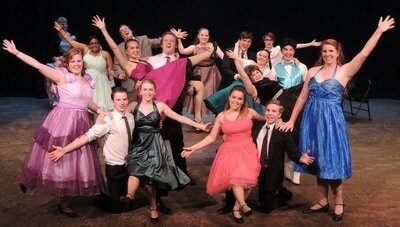 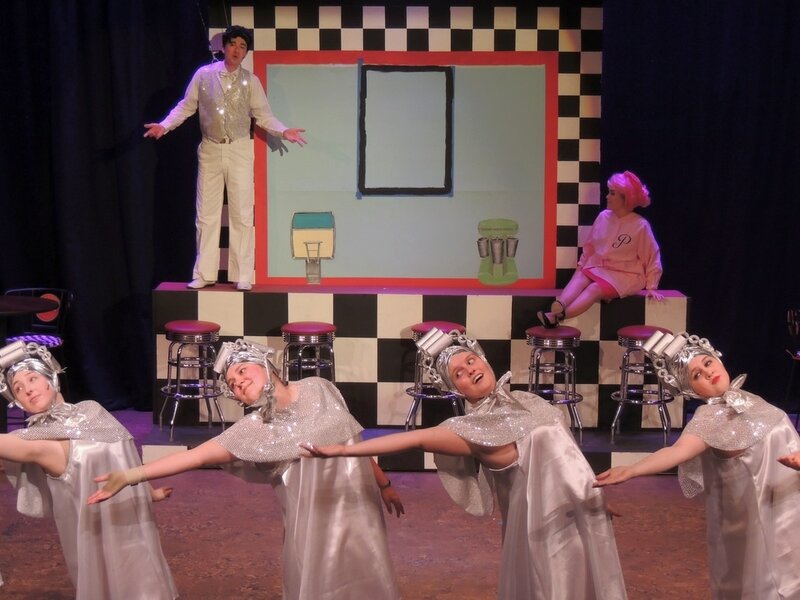 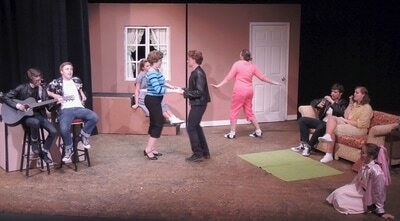 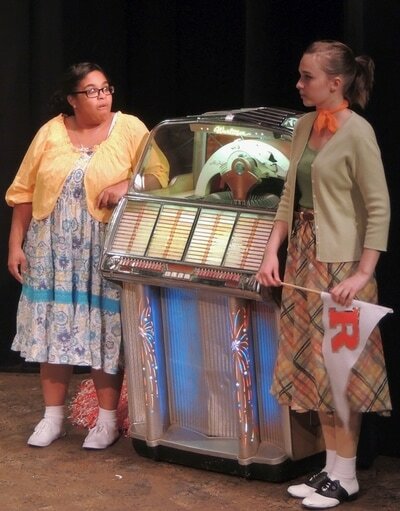 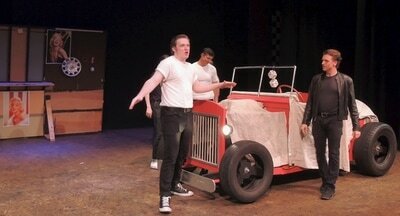 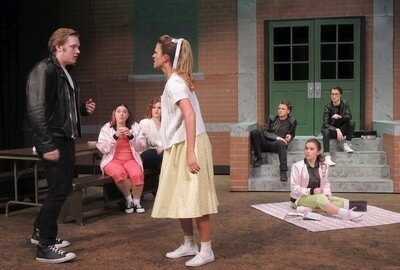 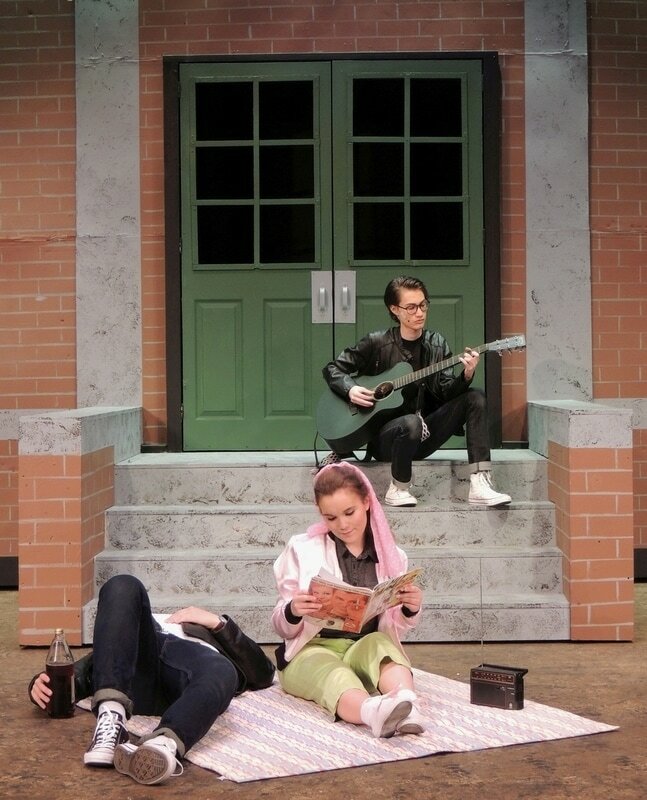 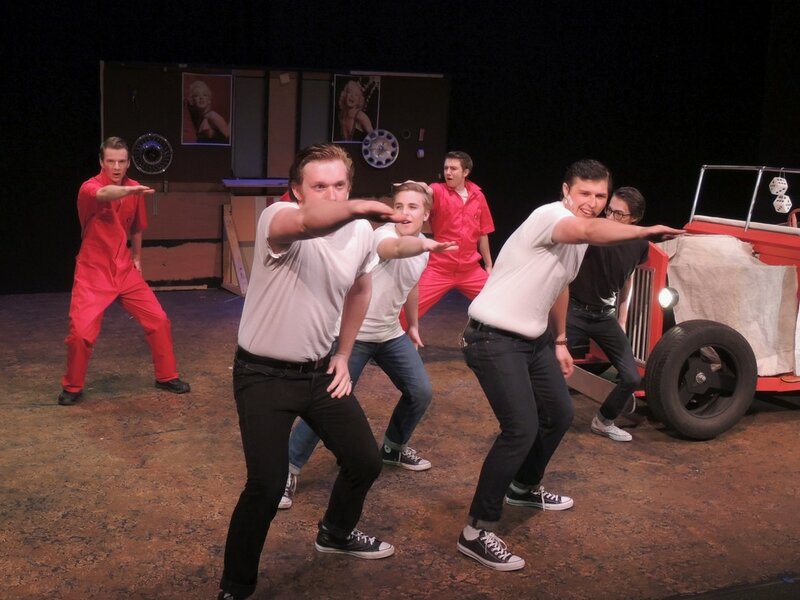 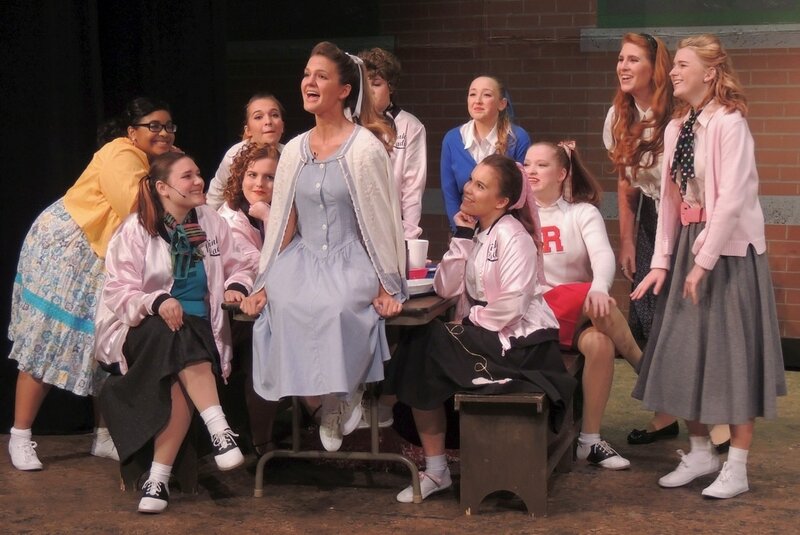 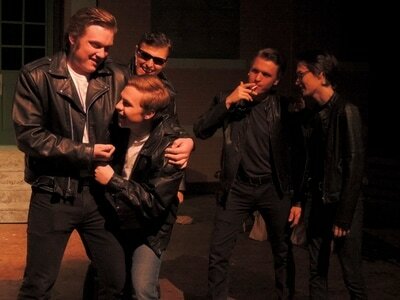 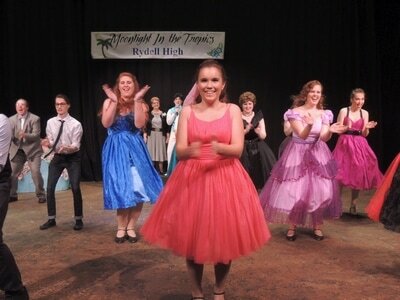 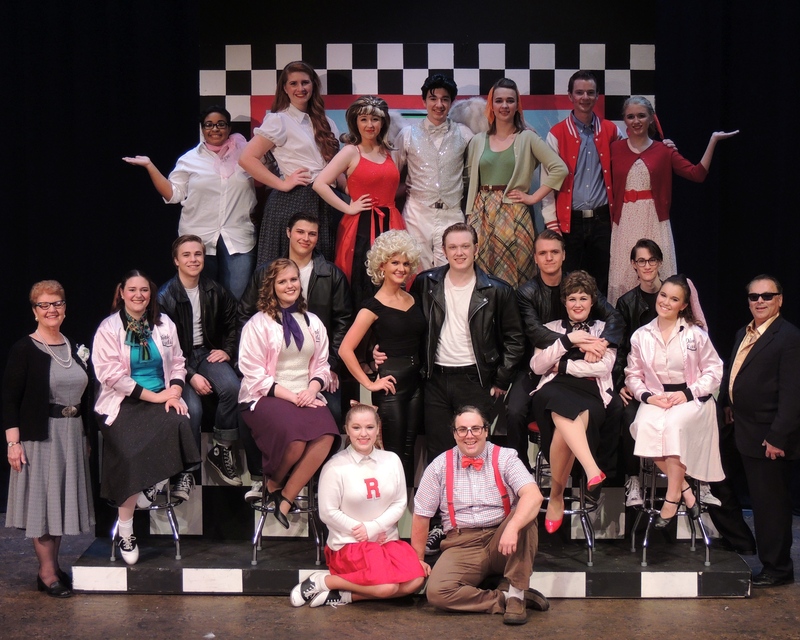 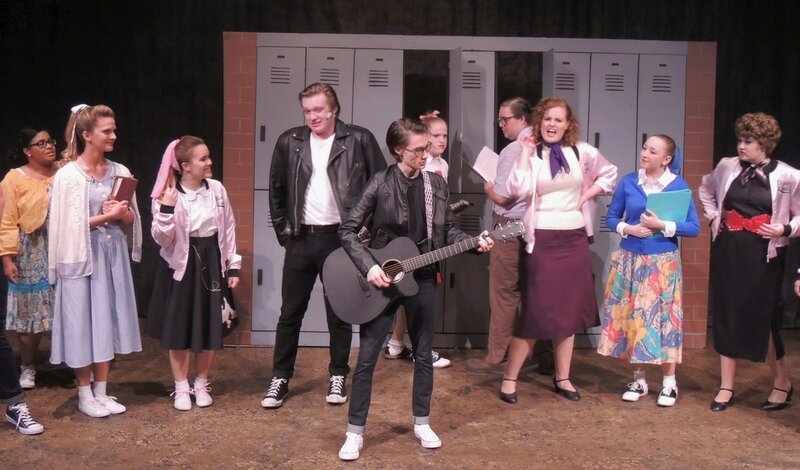 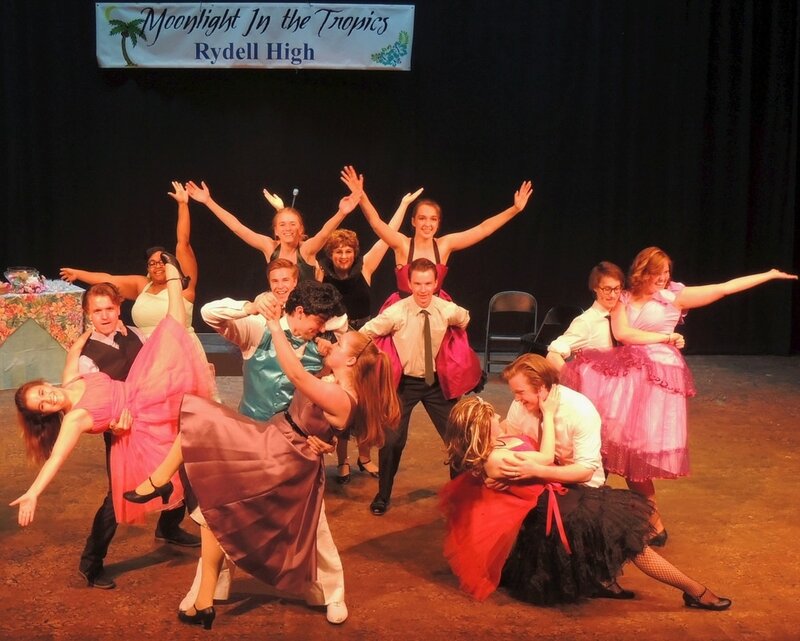 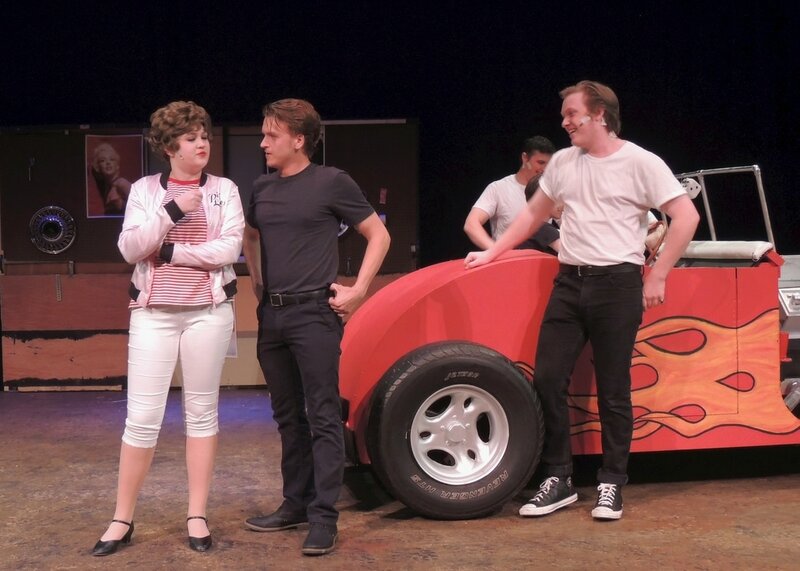 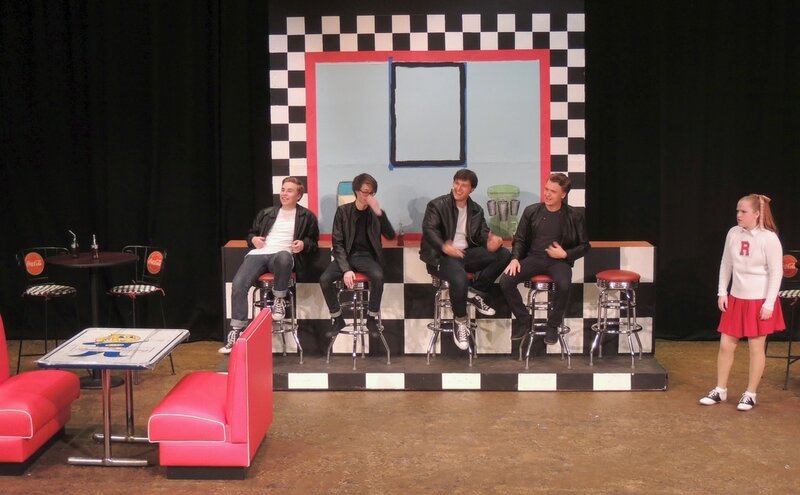 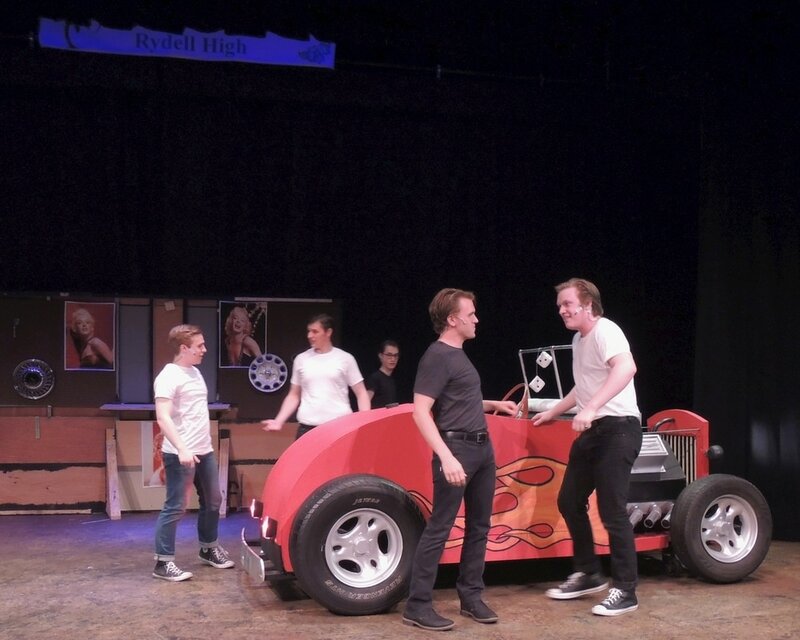 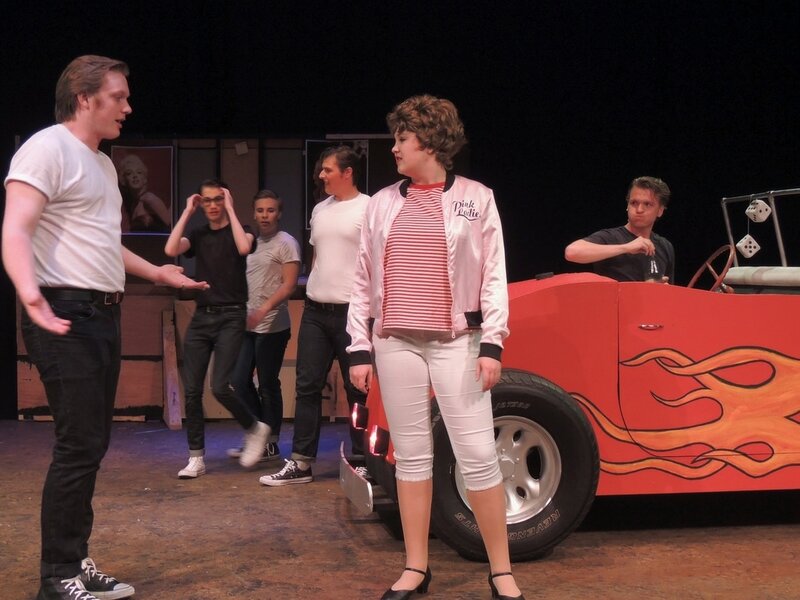 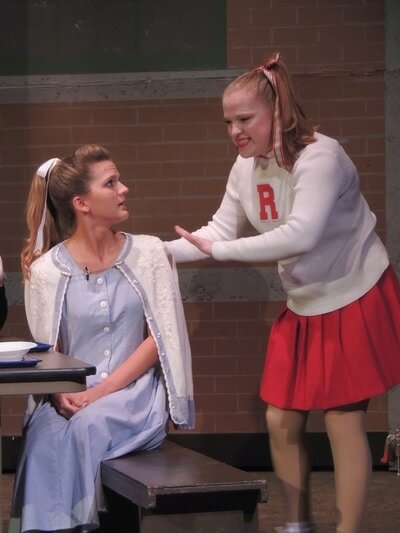 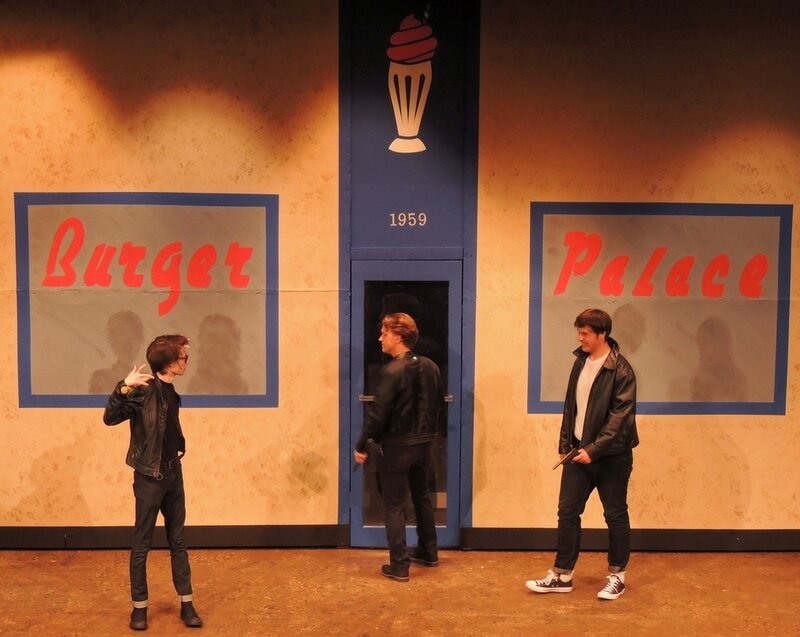 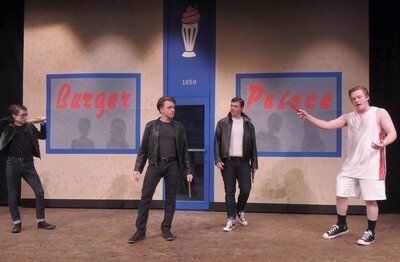 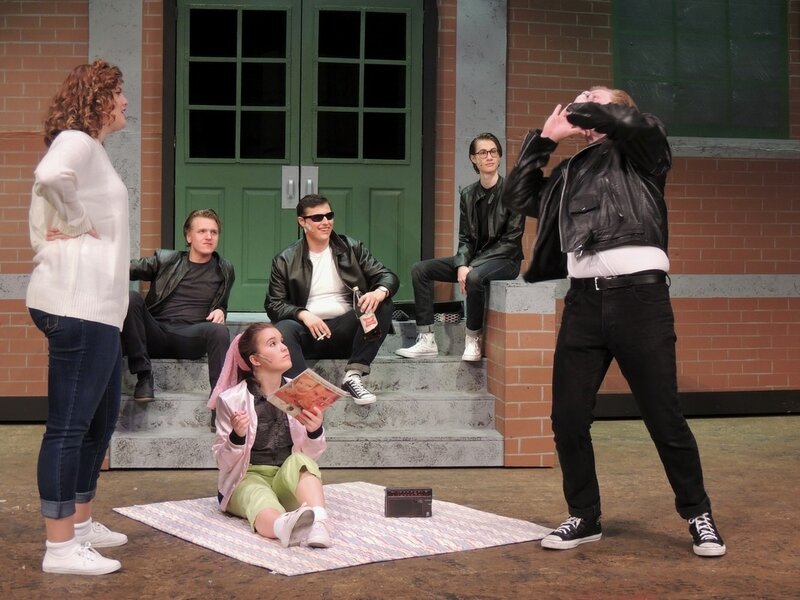 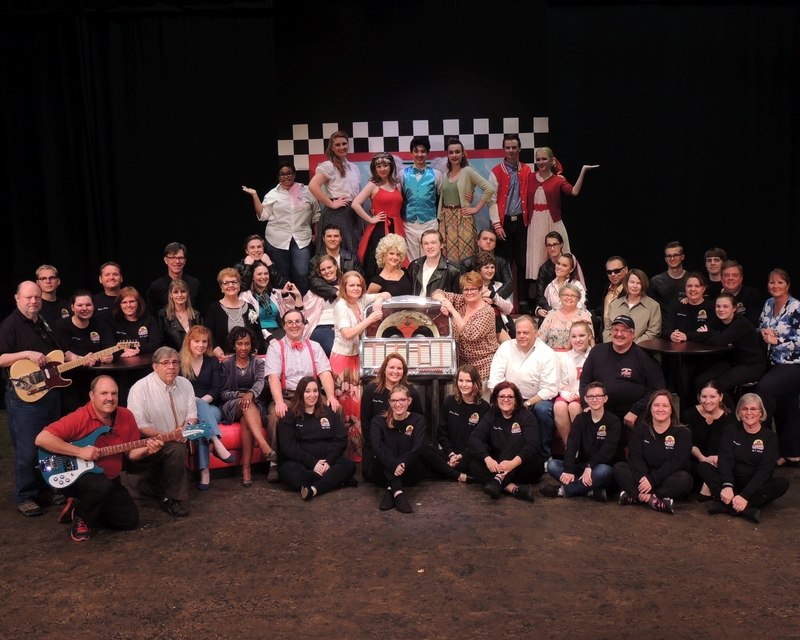 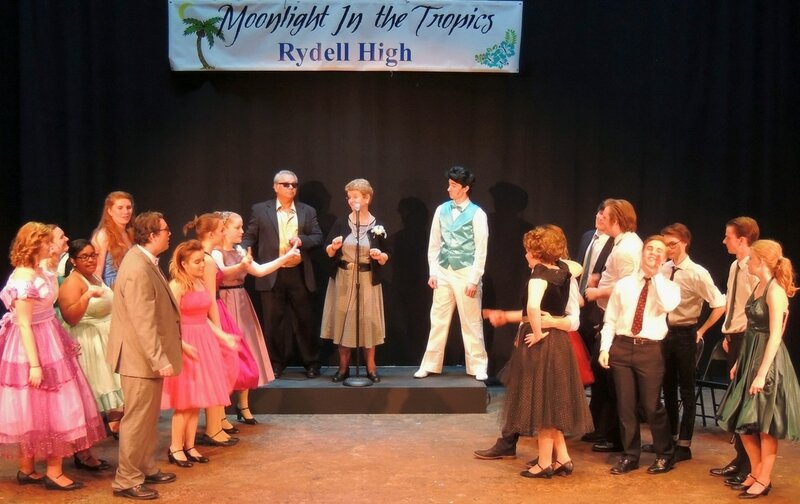 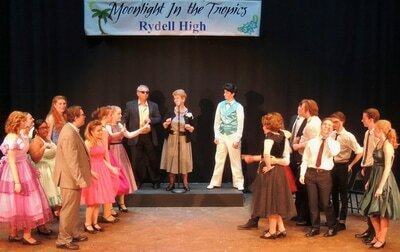 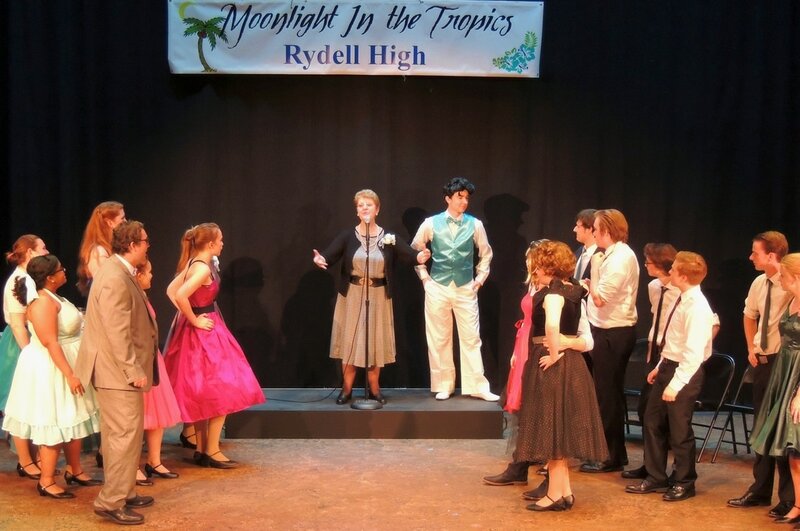 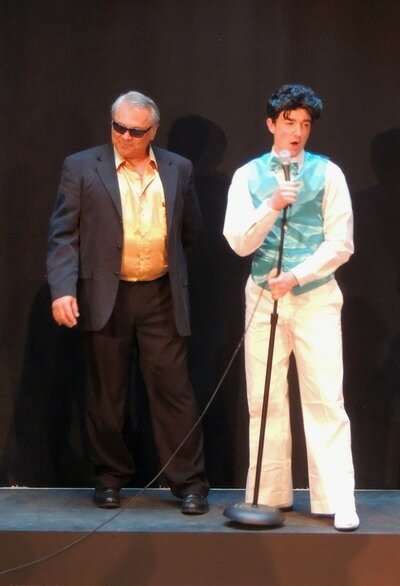 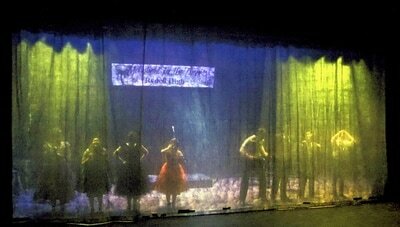 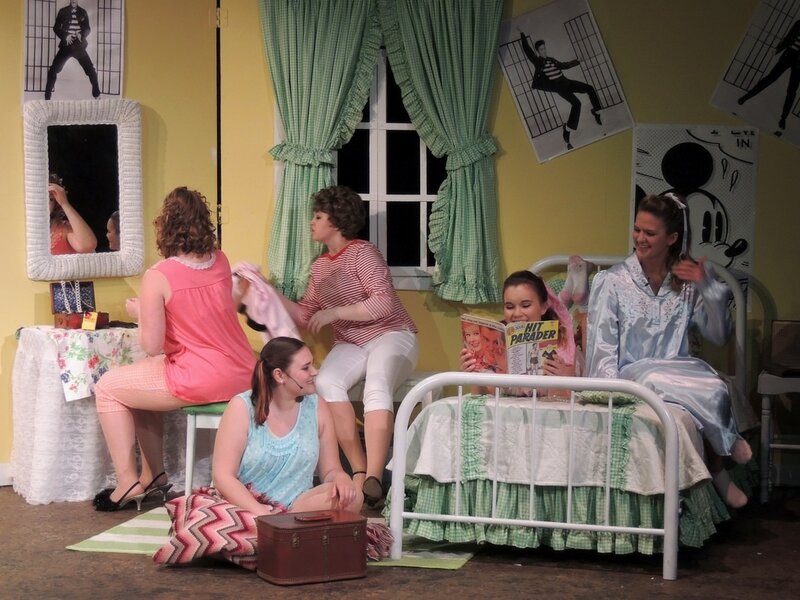 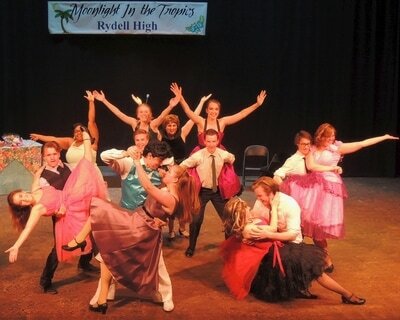 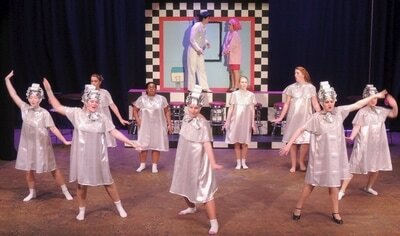 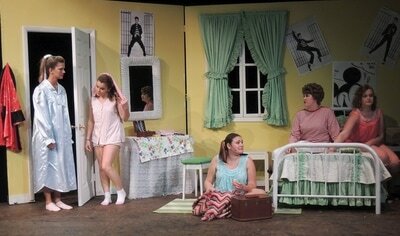 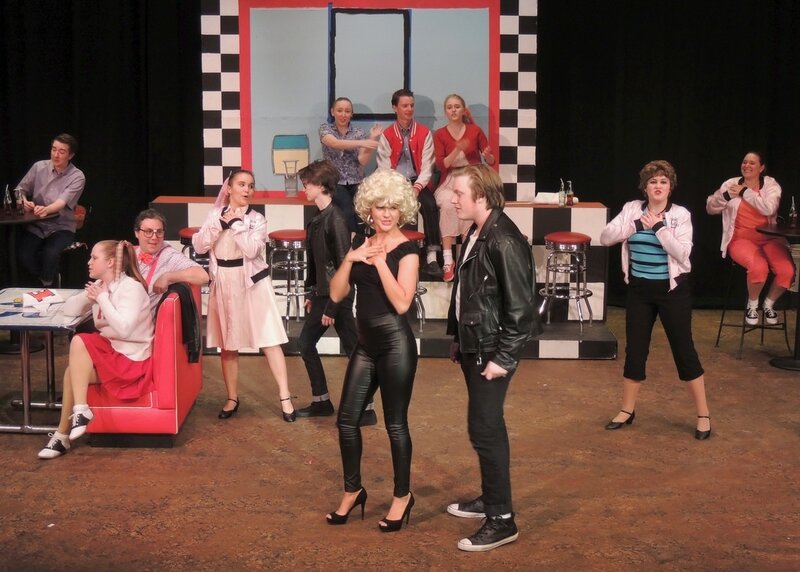 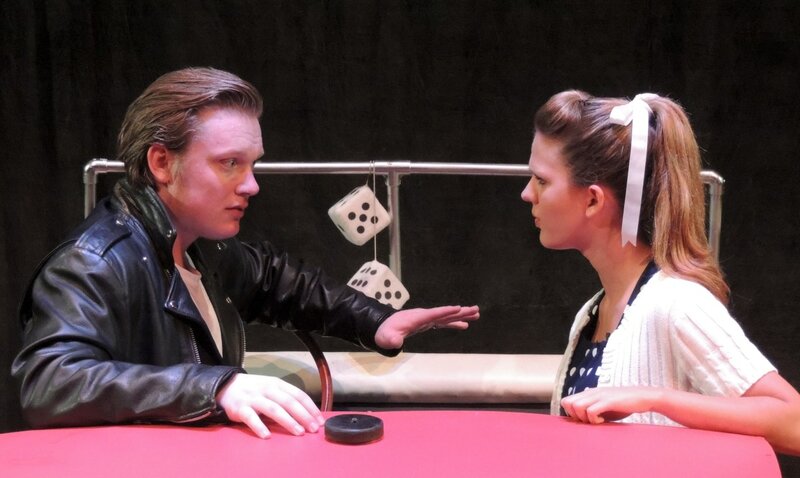 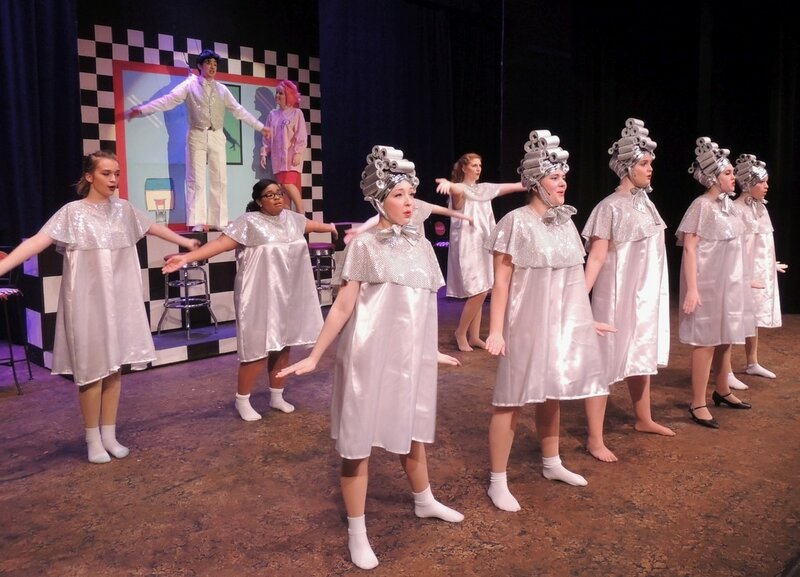 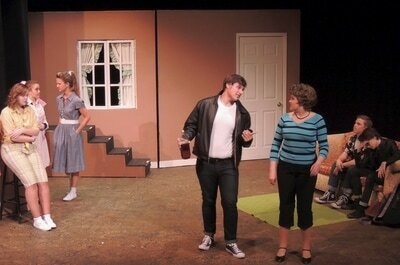 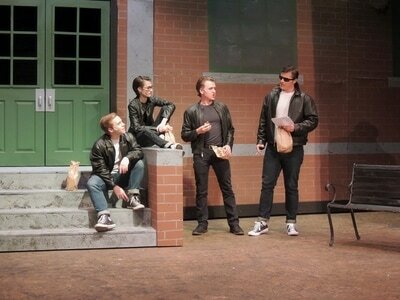 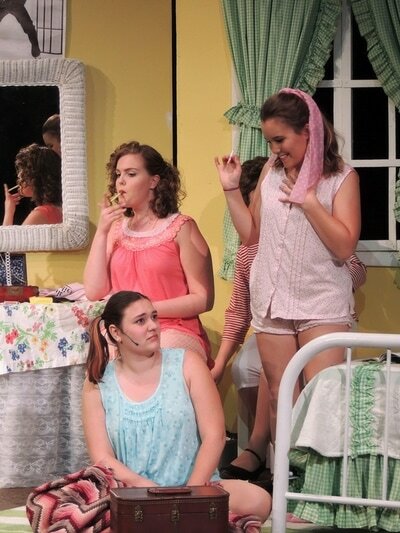 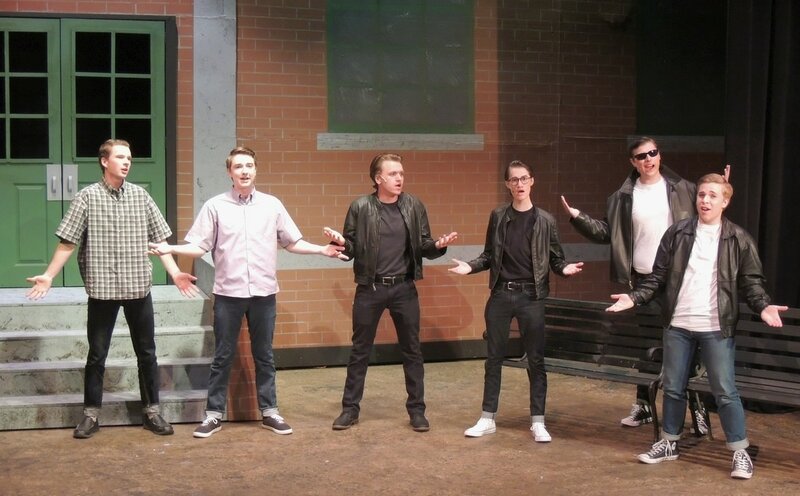 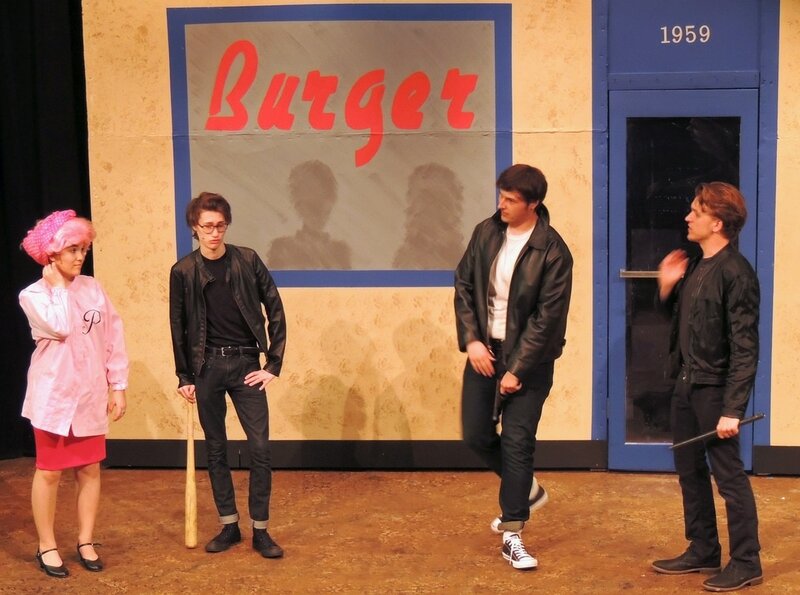 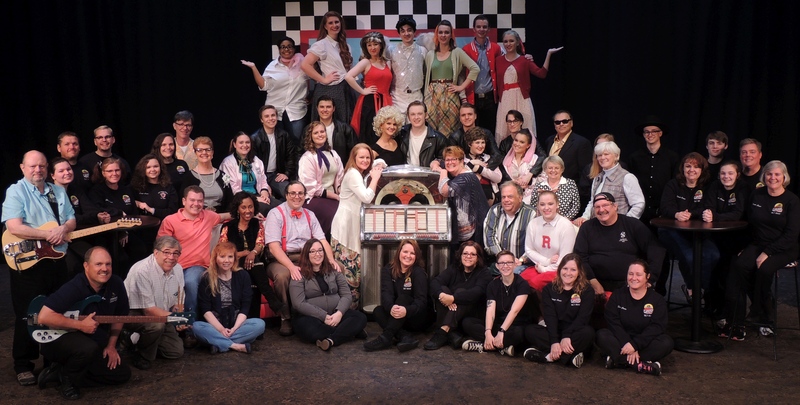 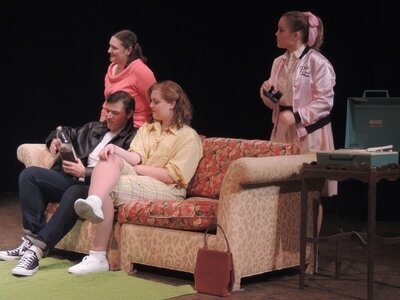 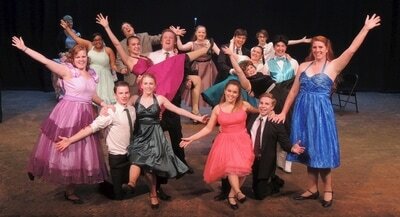 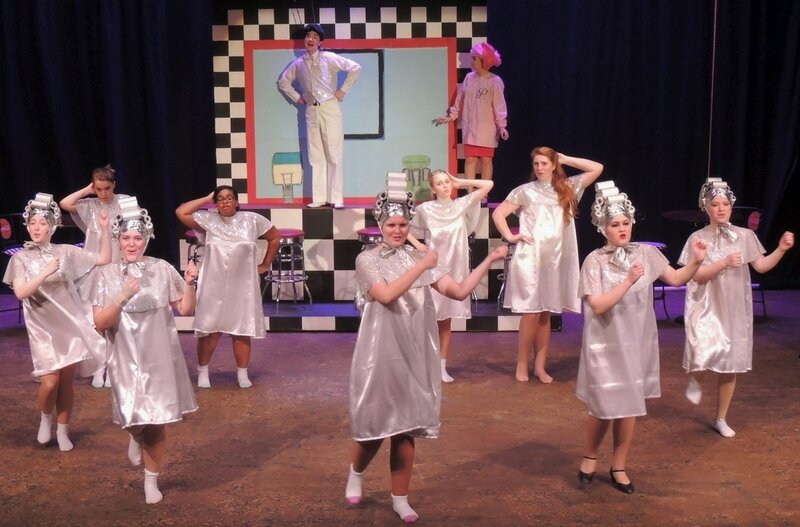 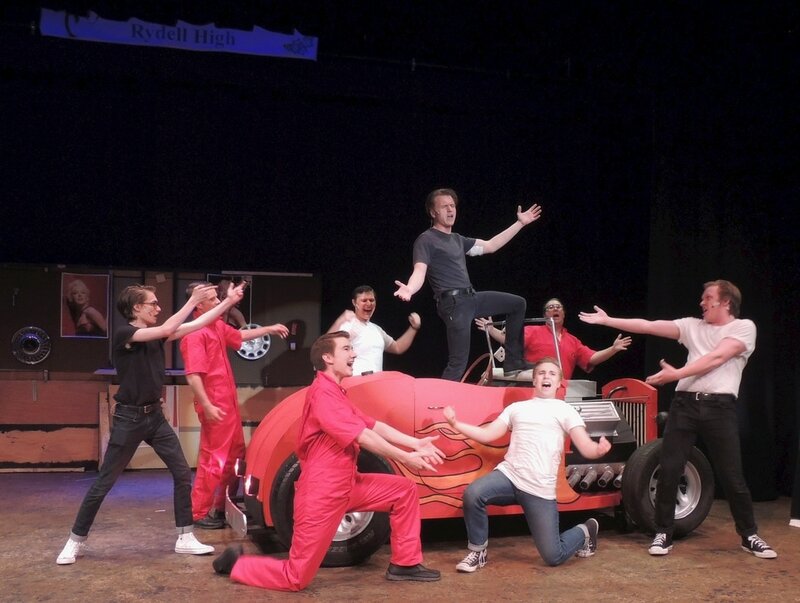 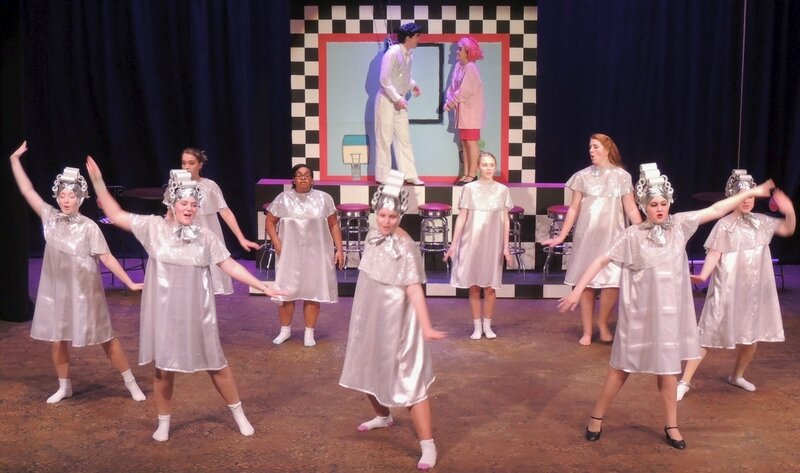 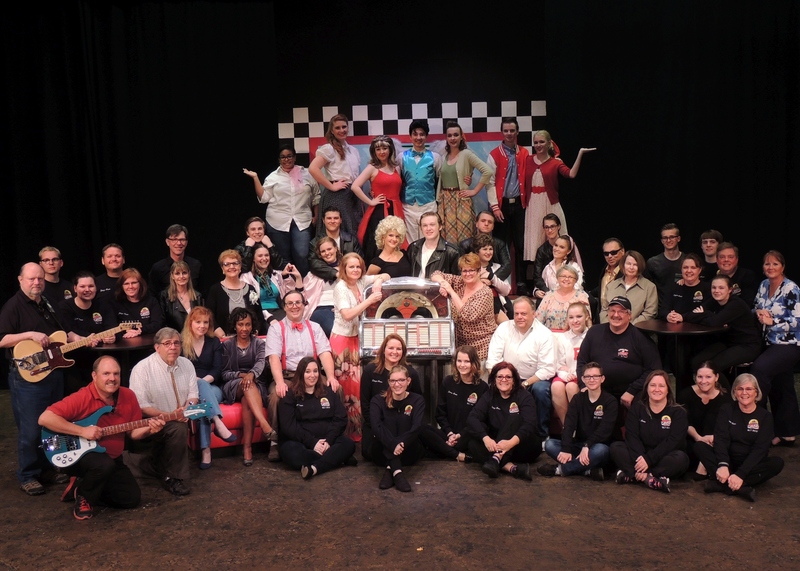 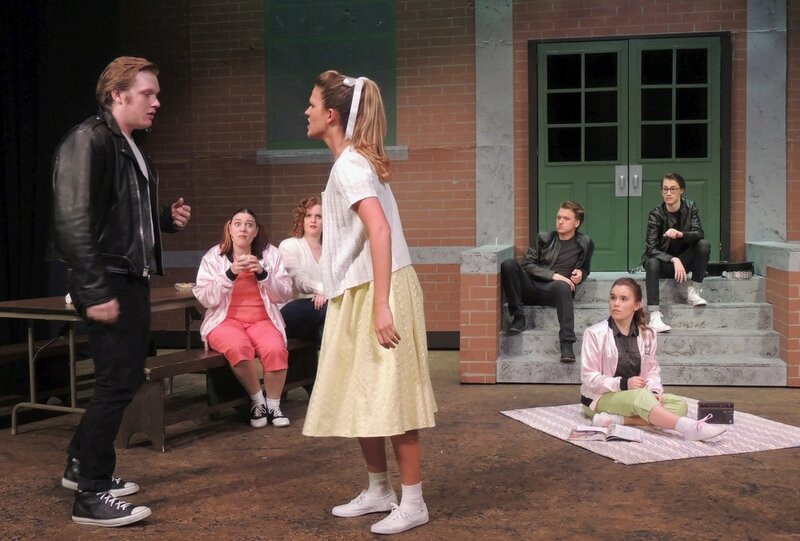 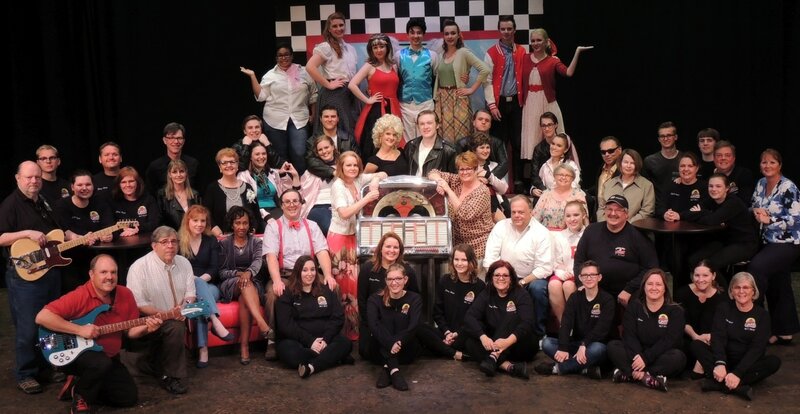 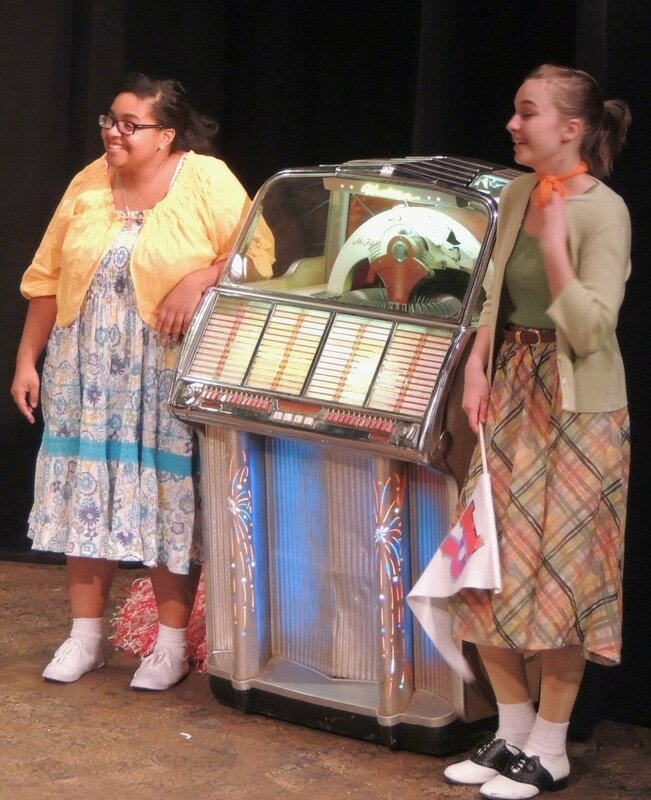 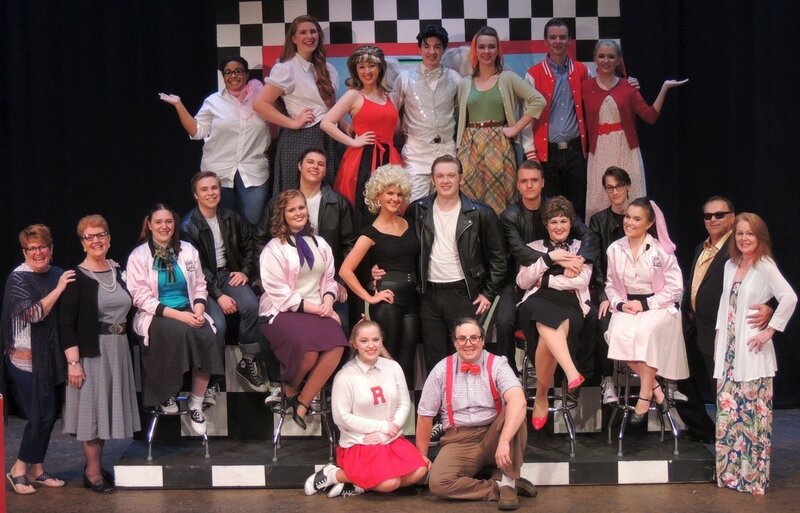 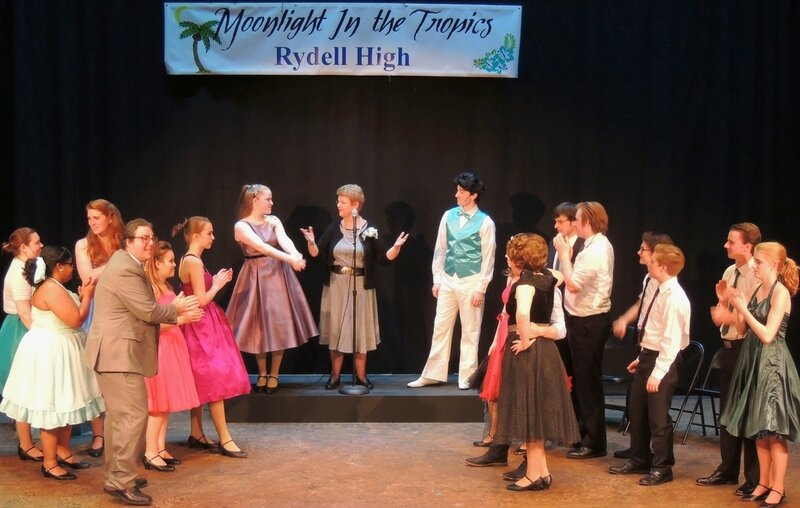 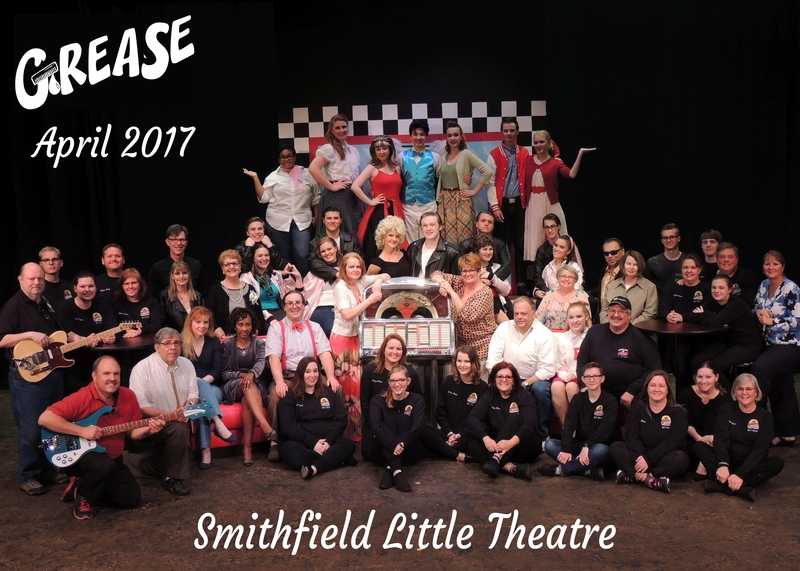 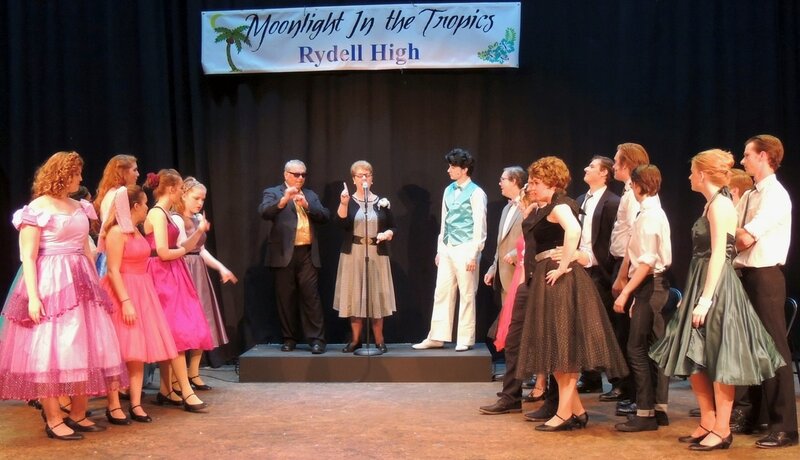 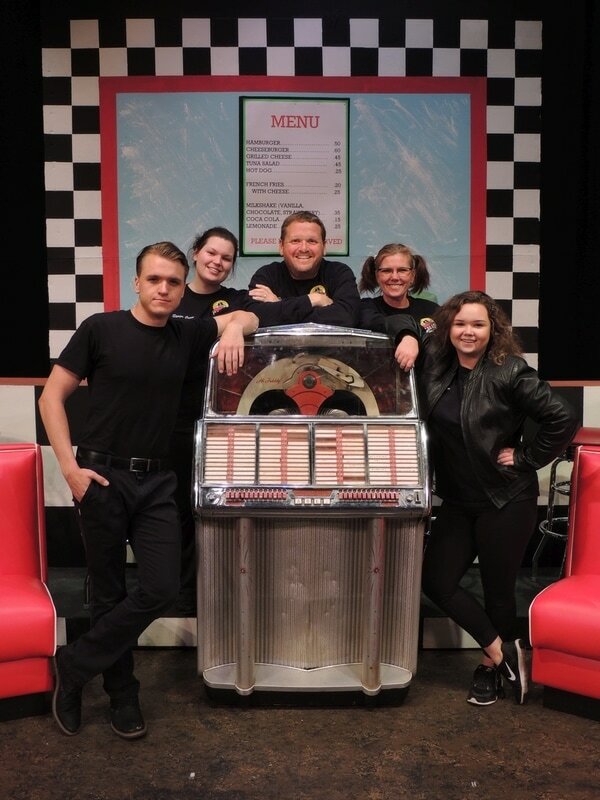 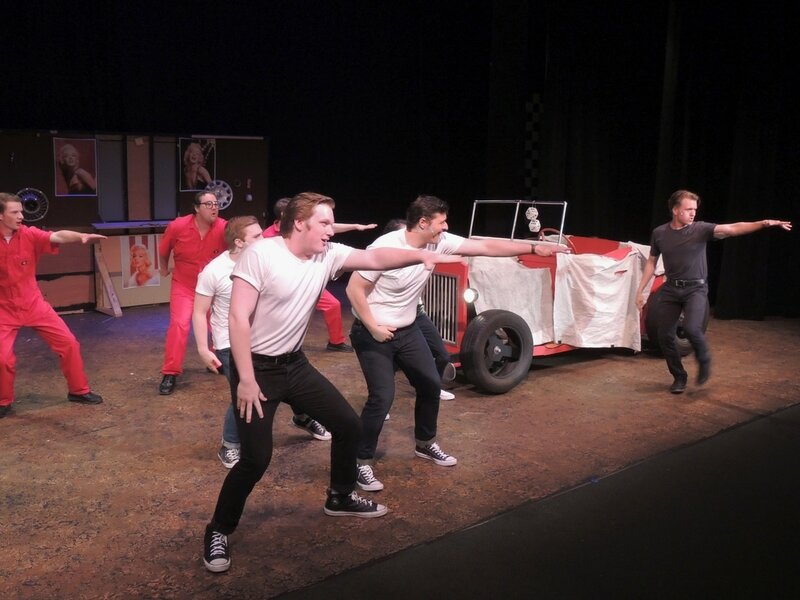 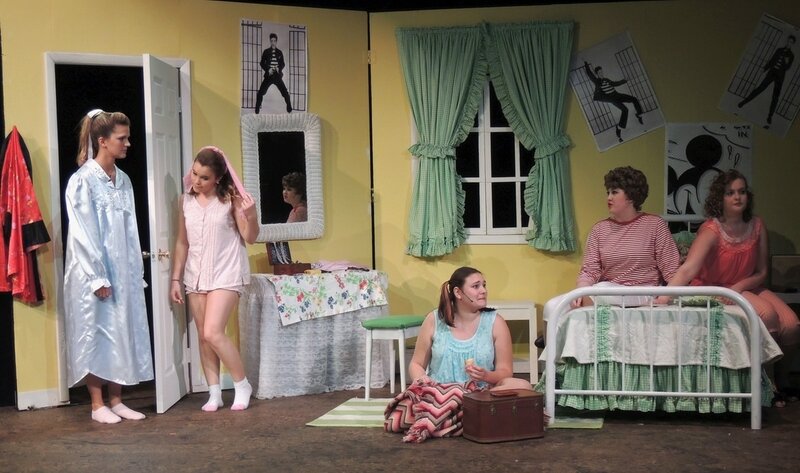 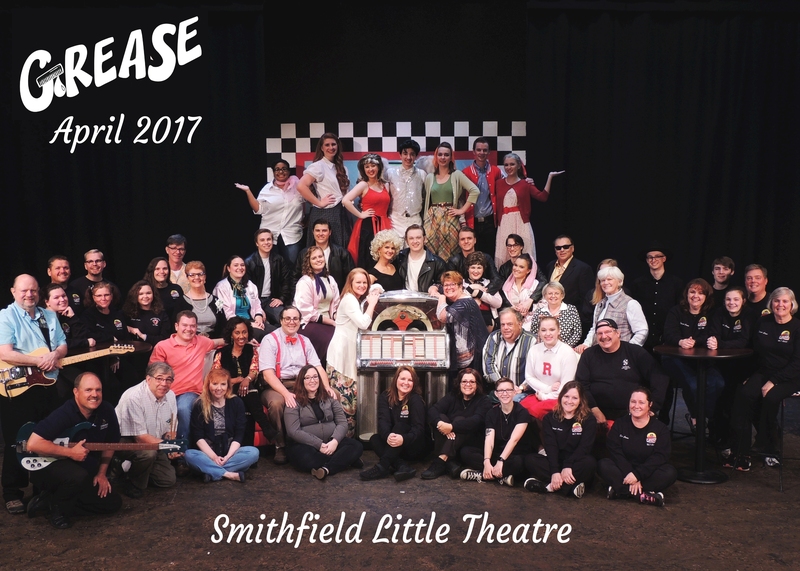 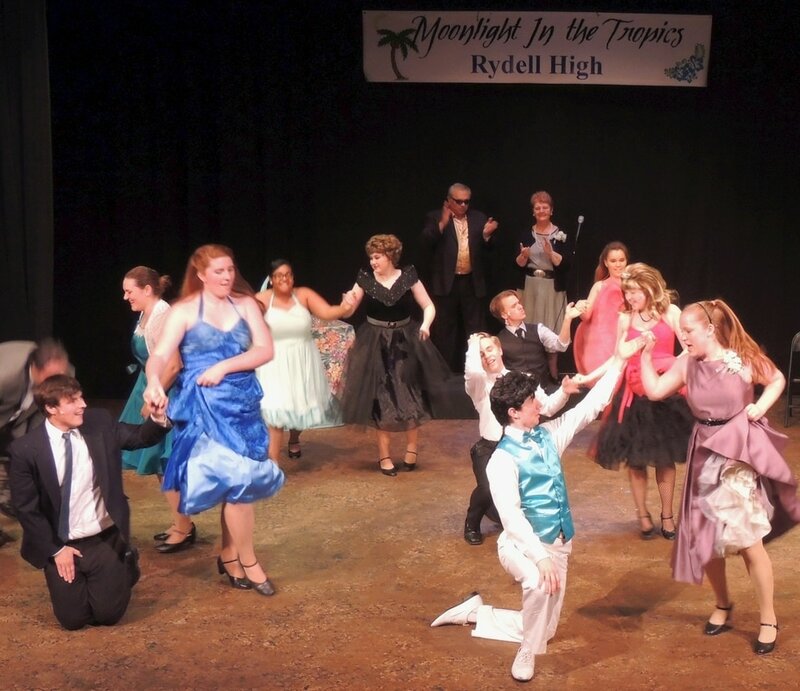 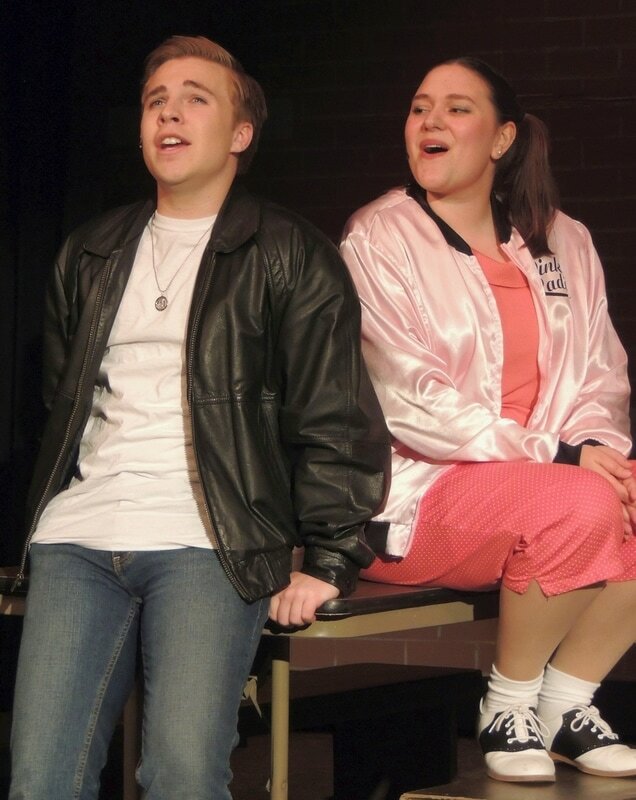 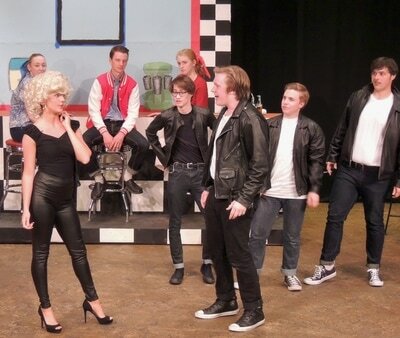 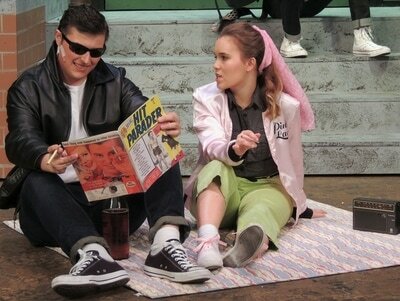 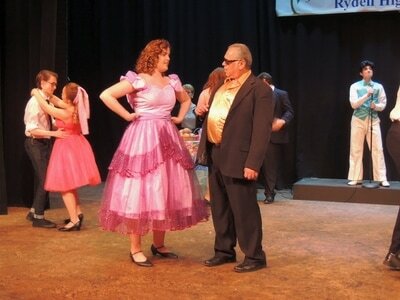 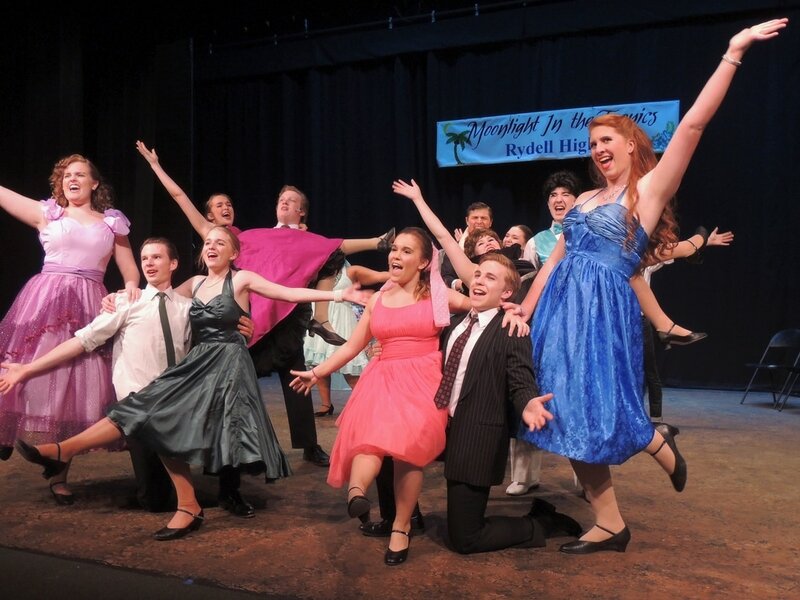 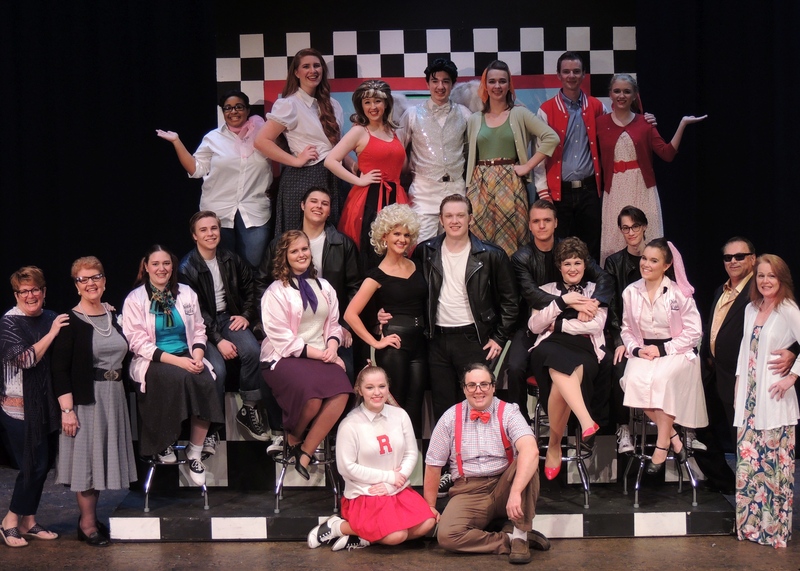 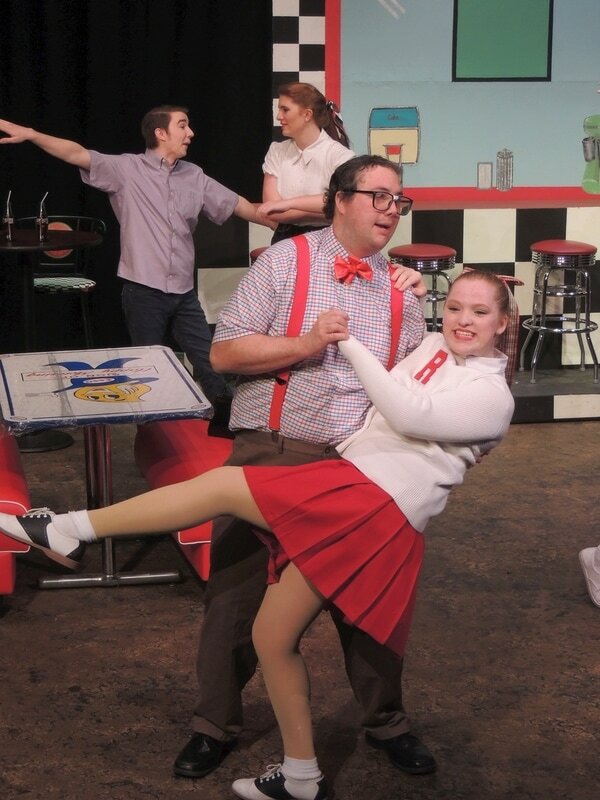 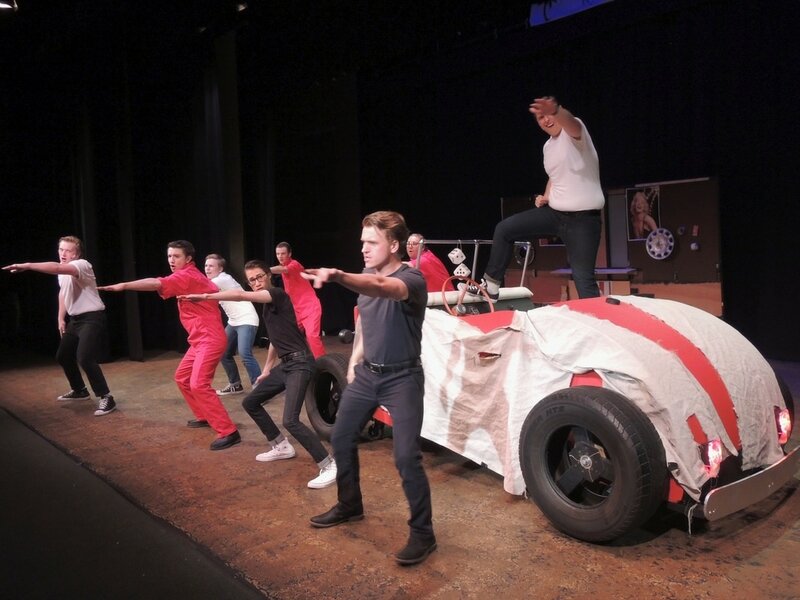 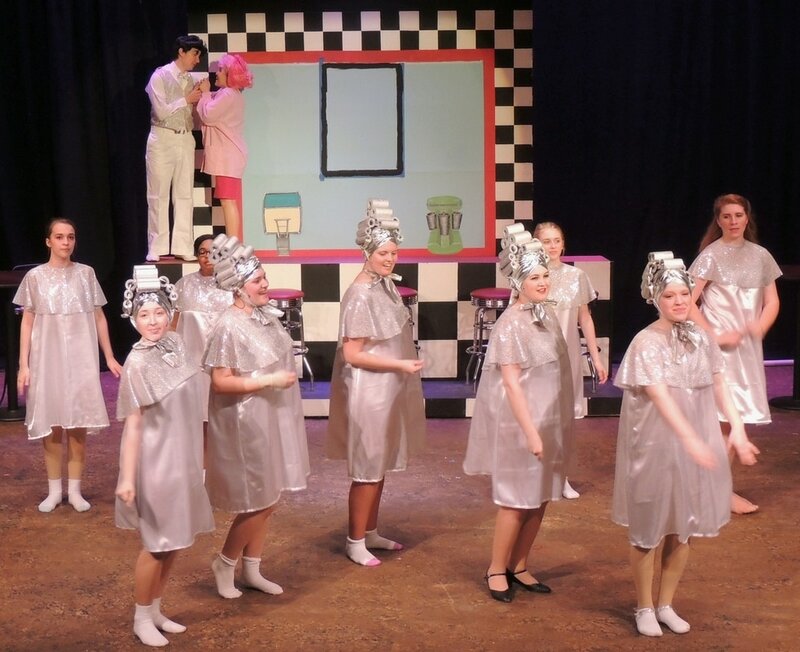 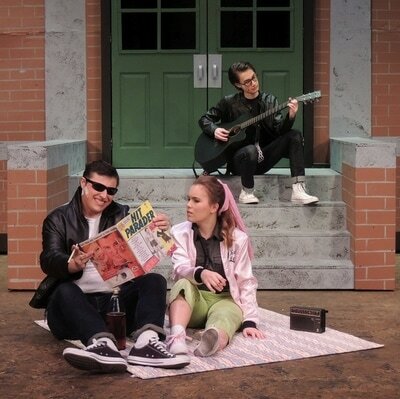 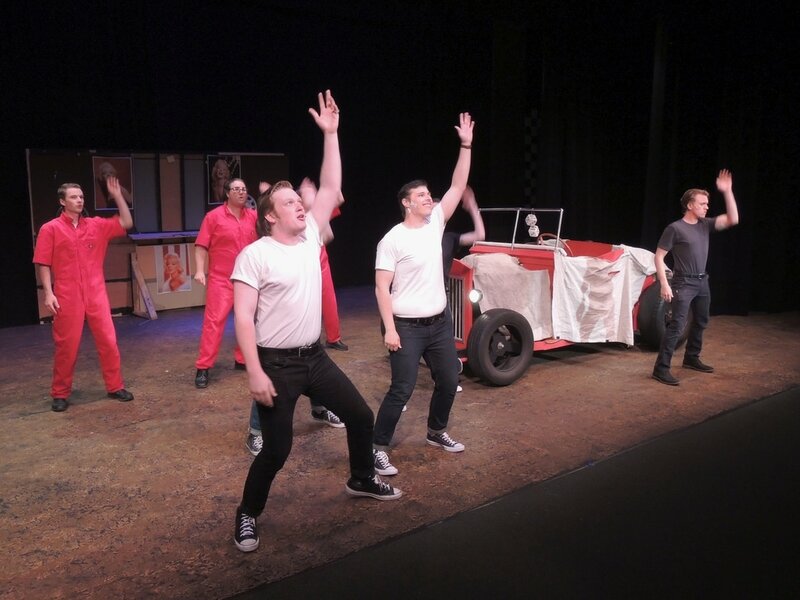 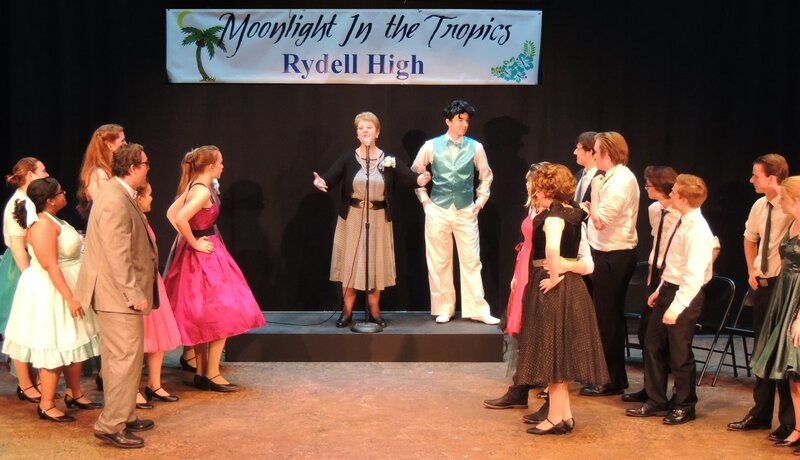 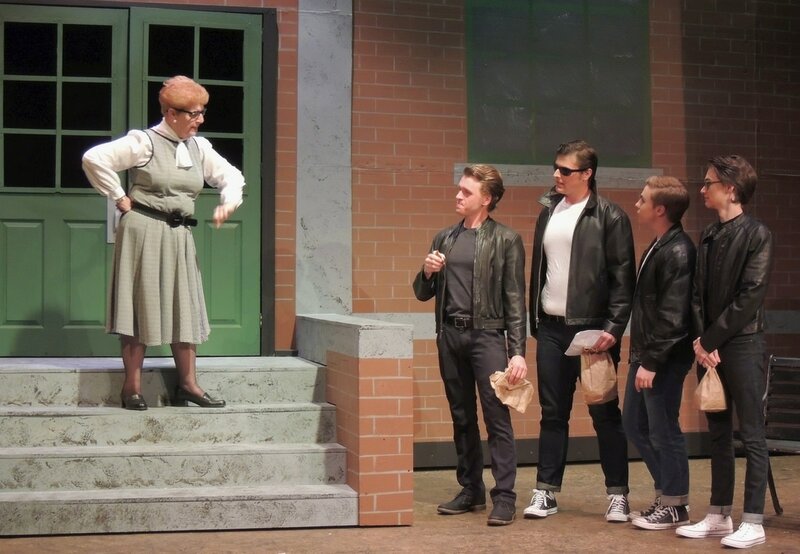 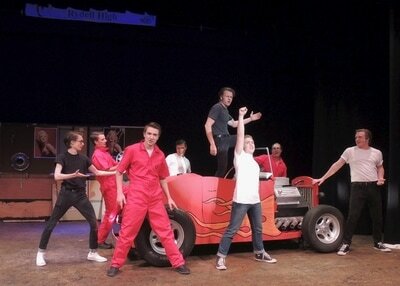 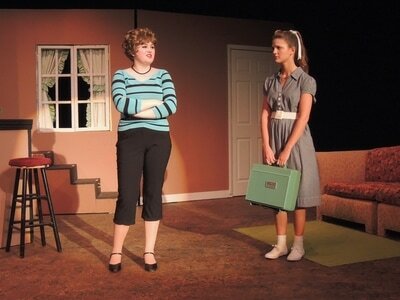 Here is Rydell High's senior class of 1959: duck-tailed, hot-rodding "Burger Palace Boys", and their gum-snapping, hip-shaking "Pink Ladies", in bobby-sox and pedal pushers, evoking the look and sound of the 1950 in this rollicking musical. 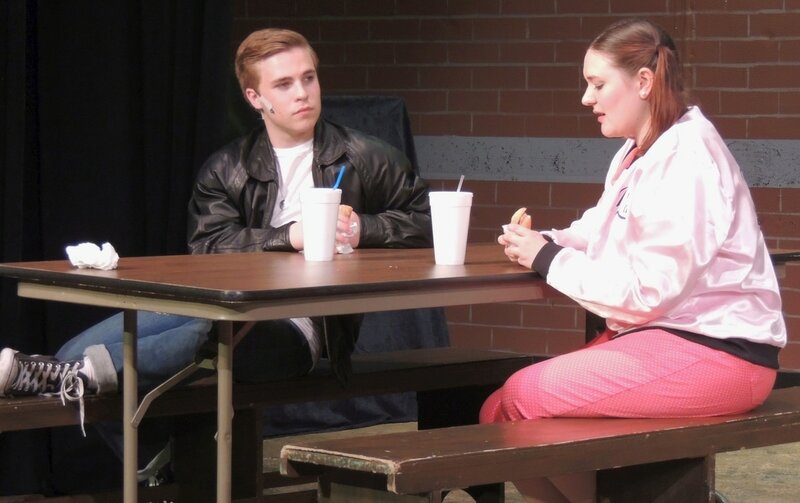 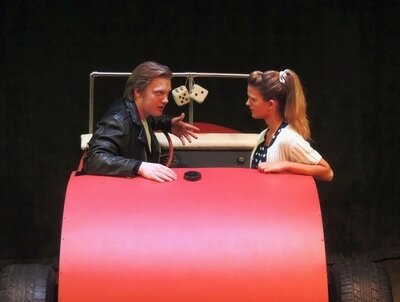 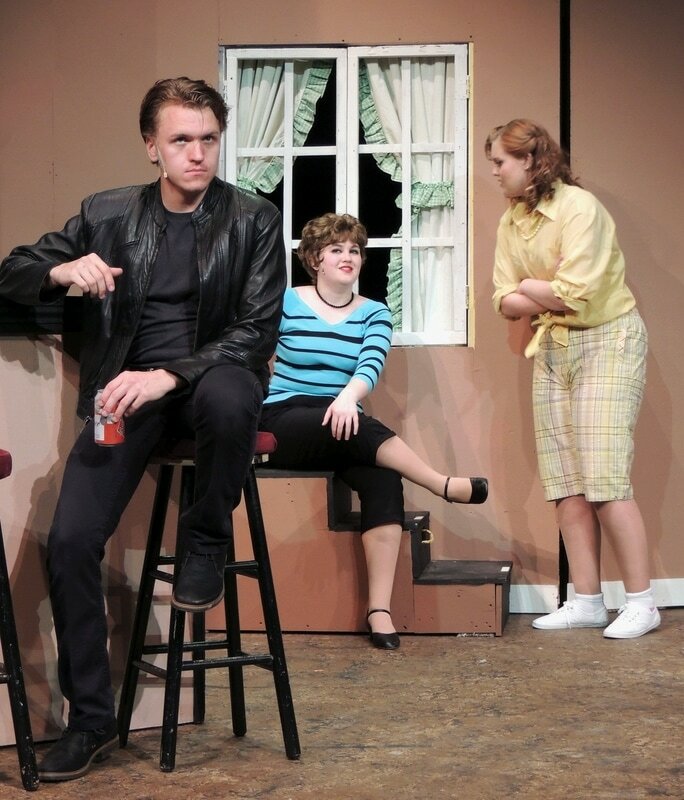 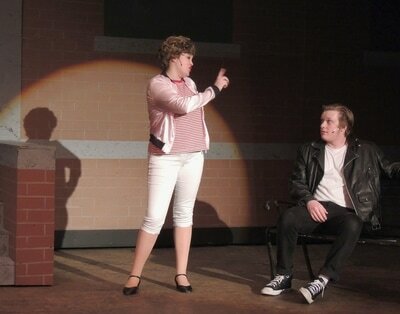 Head 'greaser", Danny Zuko, and new (good) girl, Sandy Dumbrowski, try to relive the high romance of their "Summer Nights", as the rest of the gang sings and dances their way through such songs as "Greased Lightin'", "It's Raining on Prom Night", and "Alone At the Drive In Movie", recalling the music of Buddy Holly, Little Richard, and Elvis Presley, that became the soundtrack of a generation. 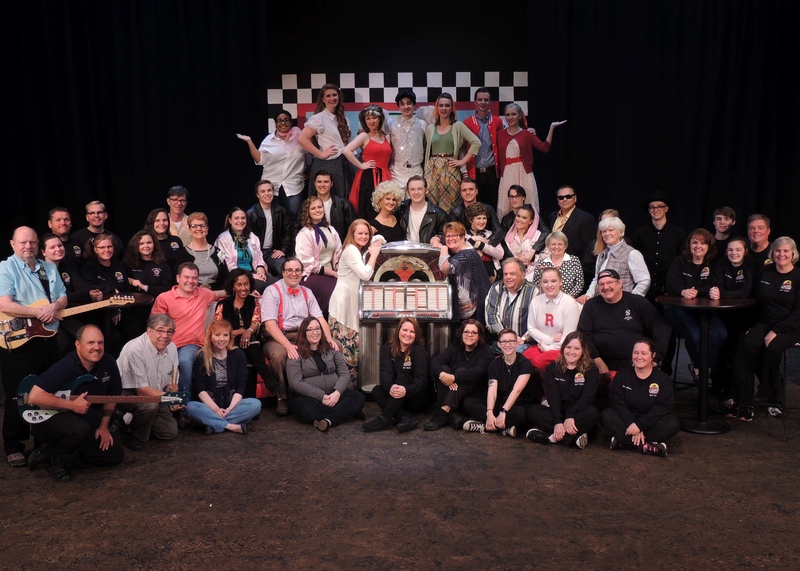 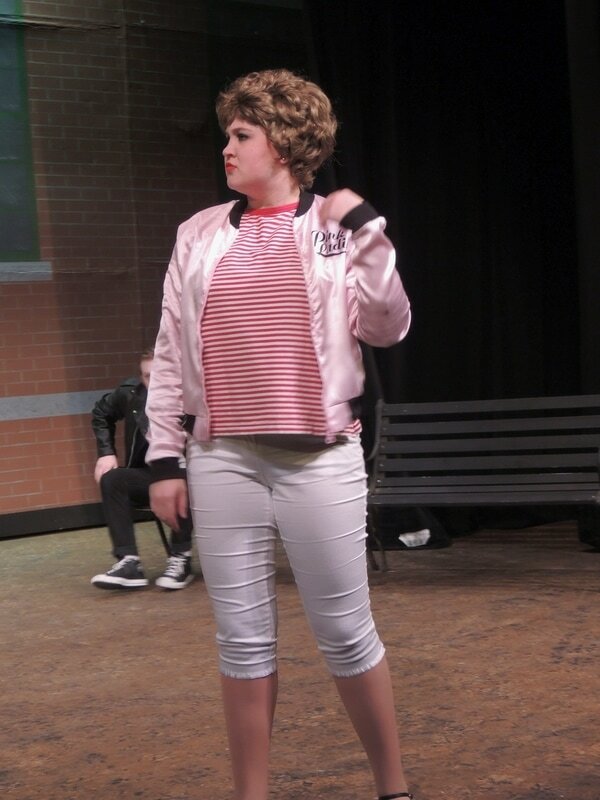 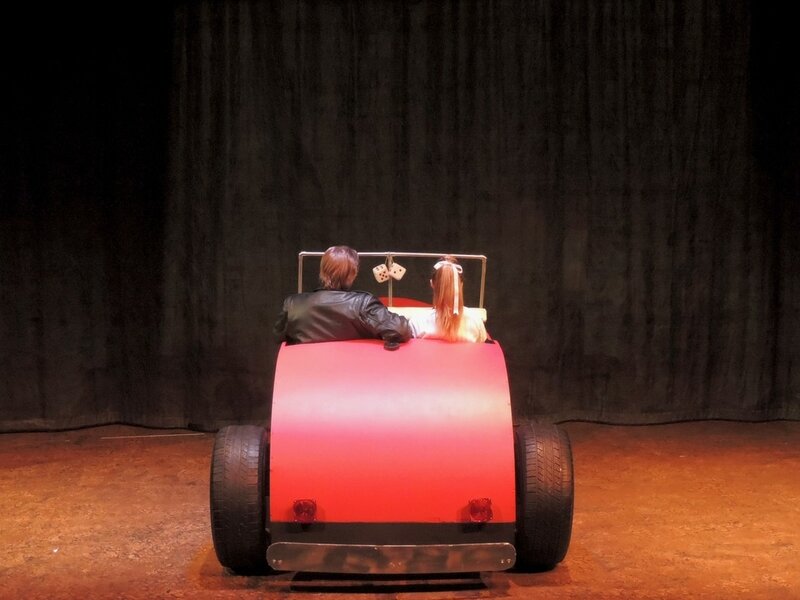 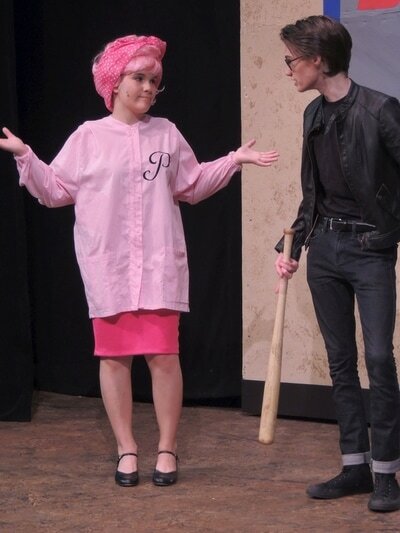 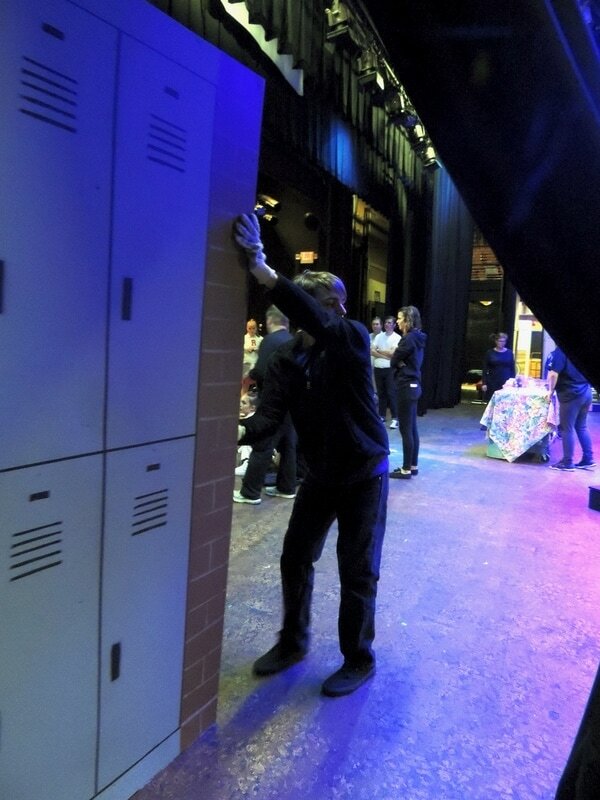 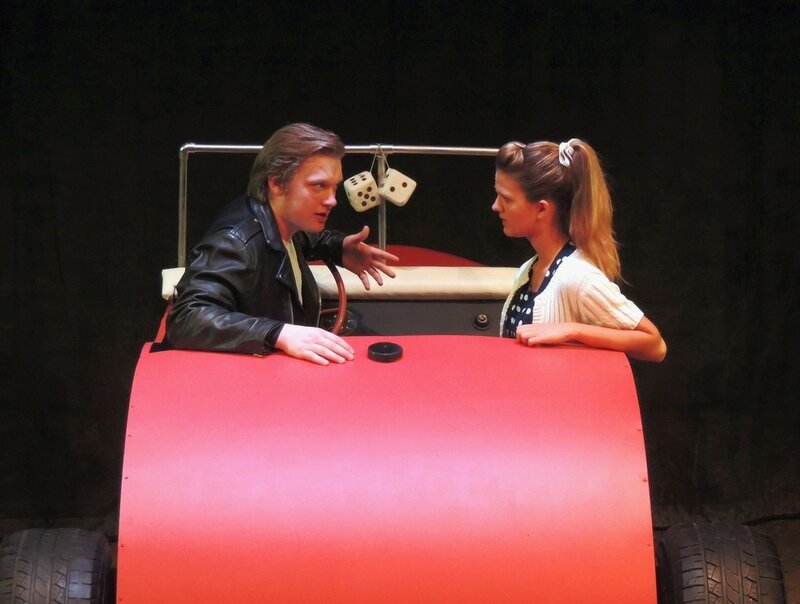 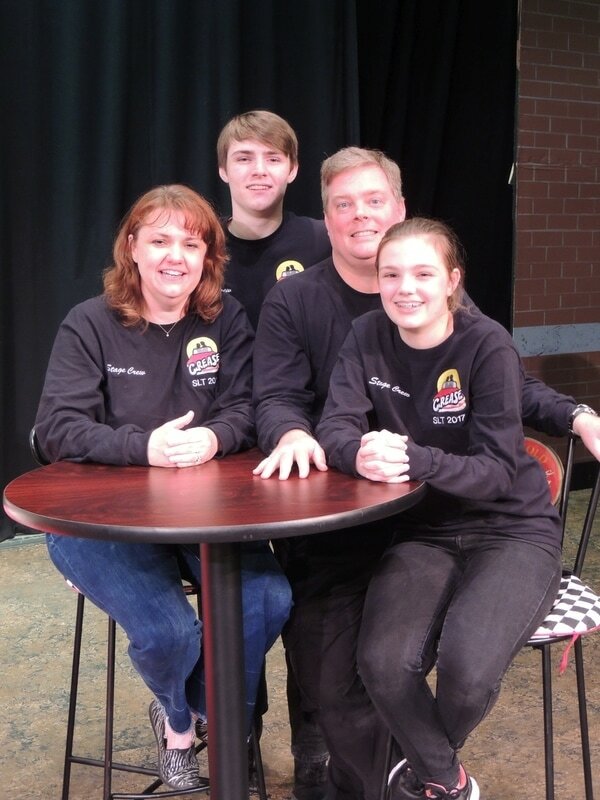 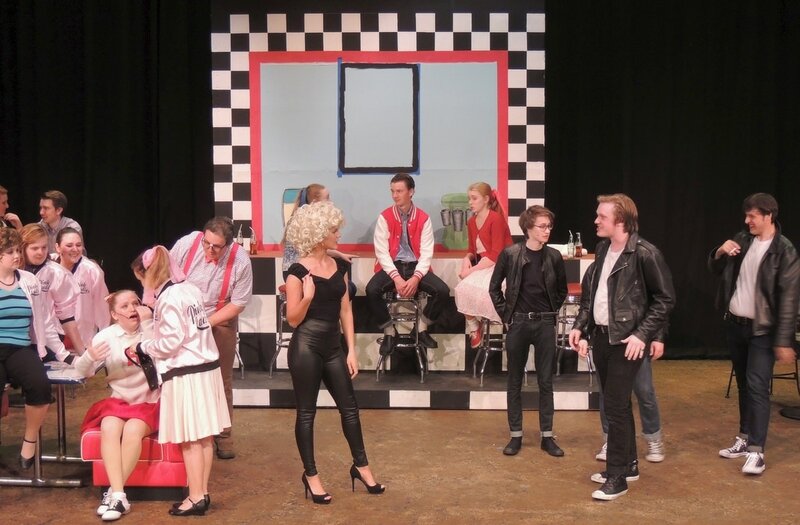 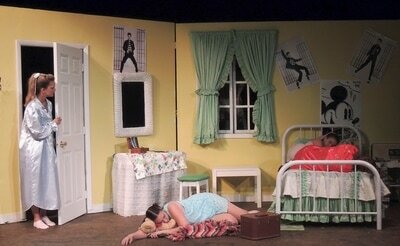 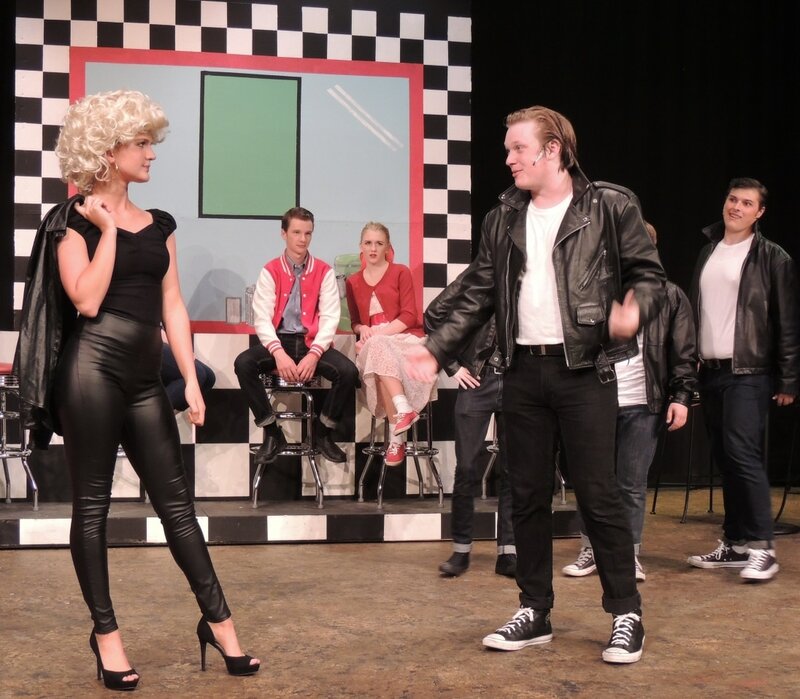 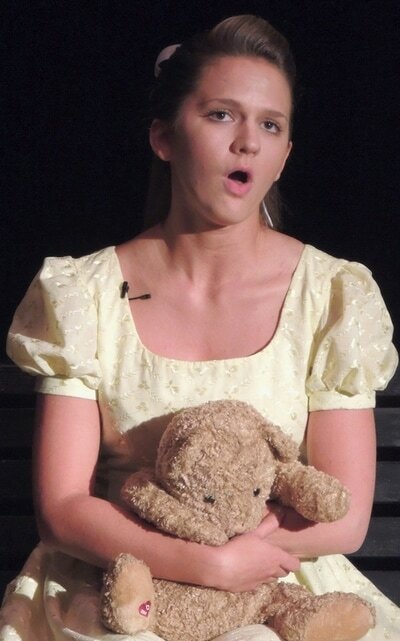 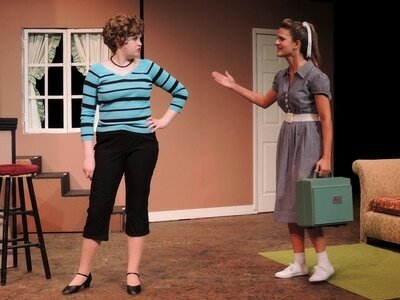 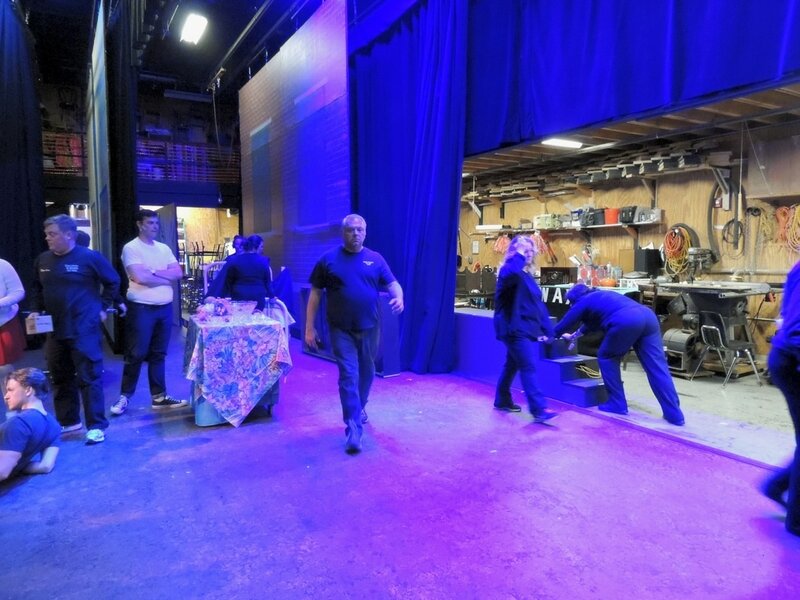 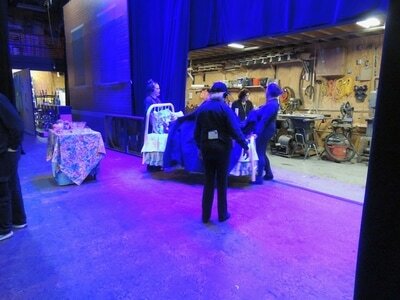 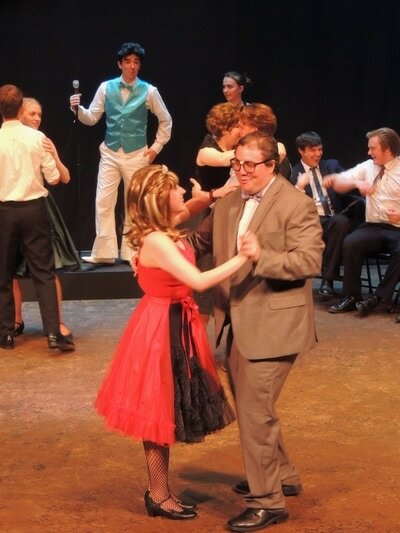 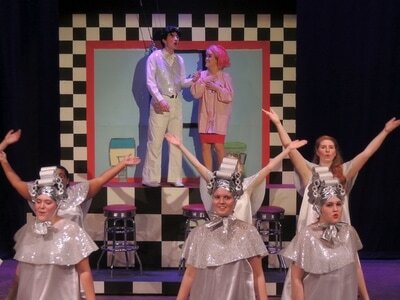 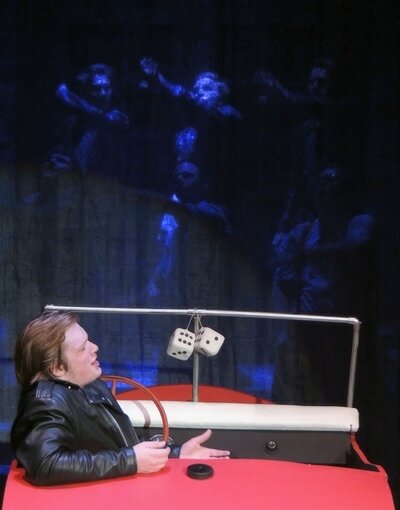 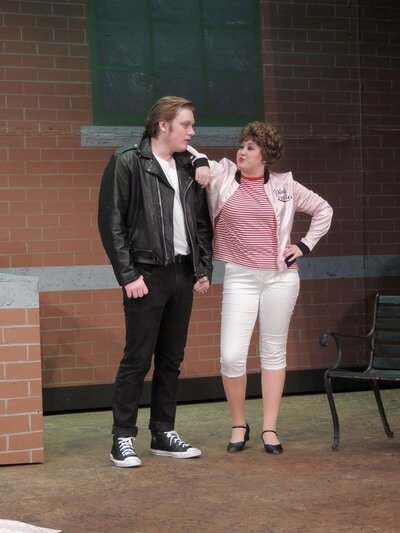 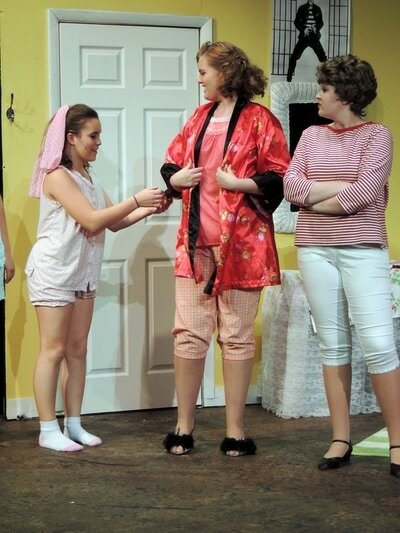 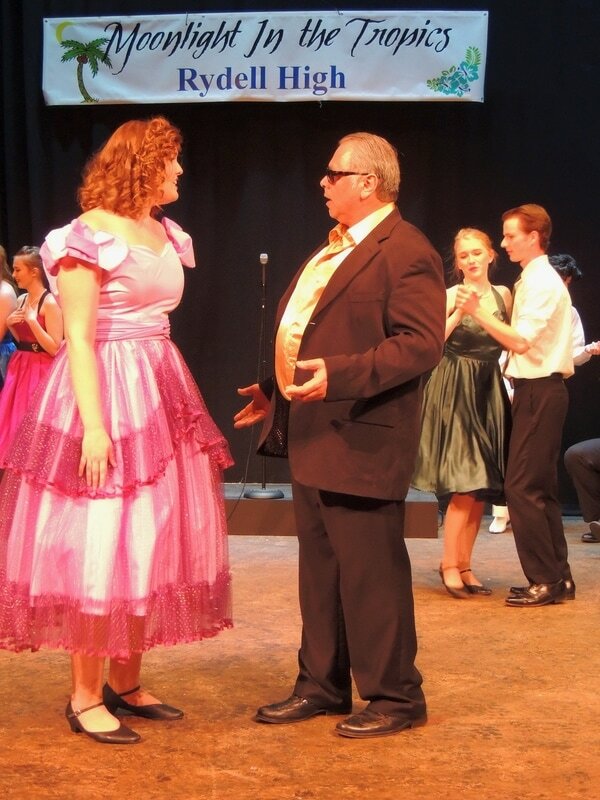 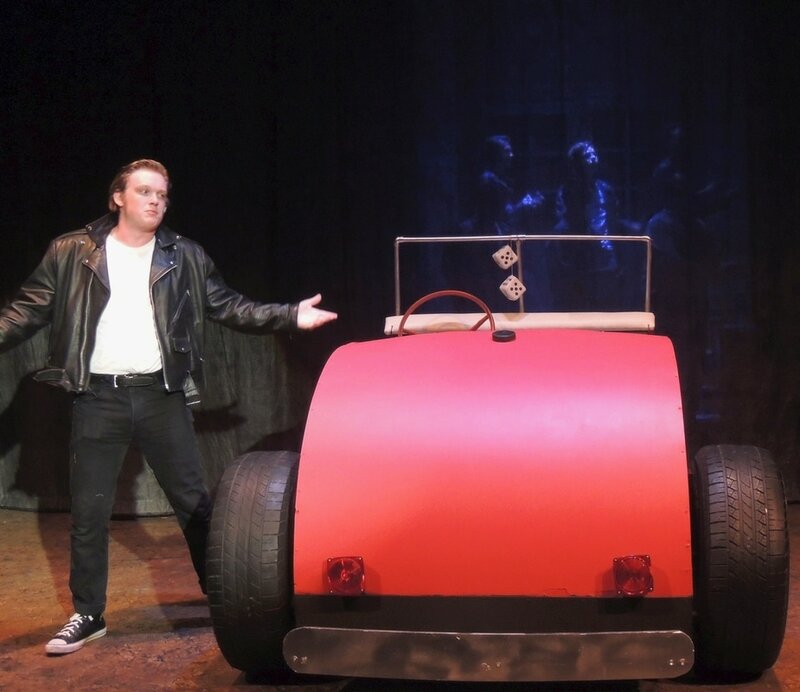 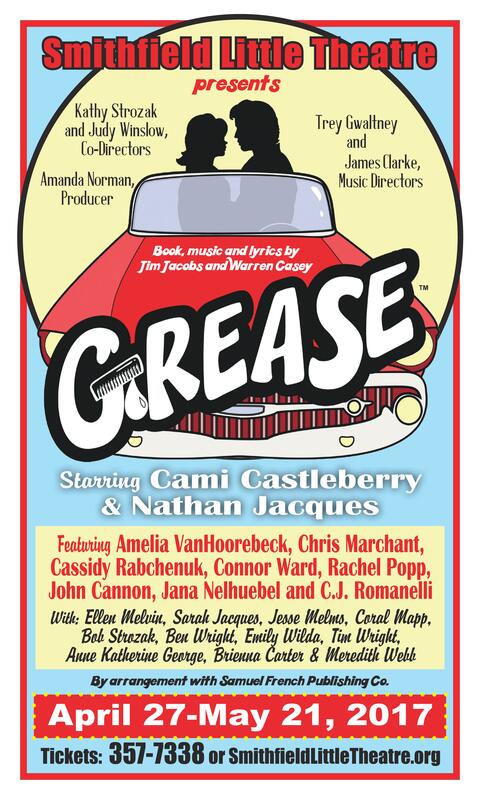 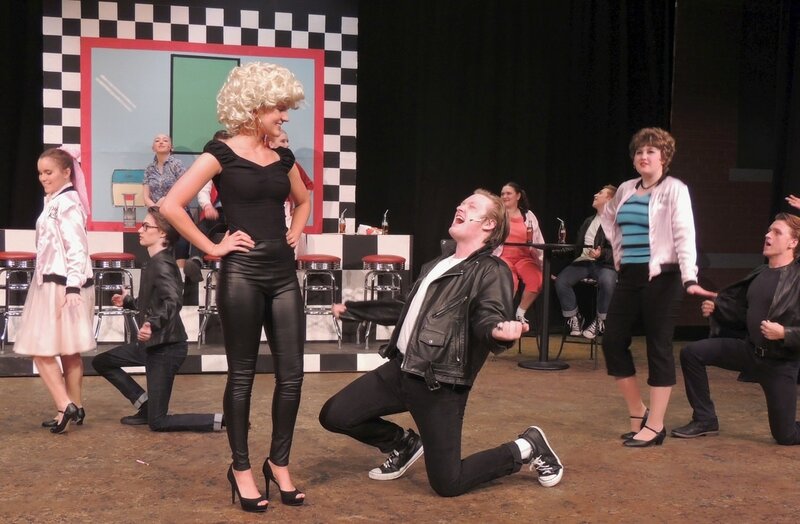 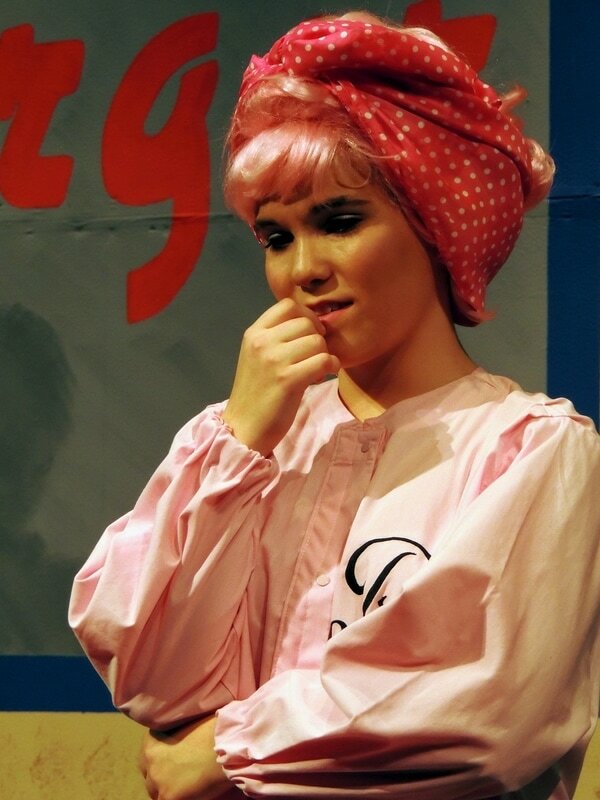 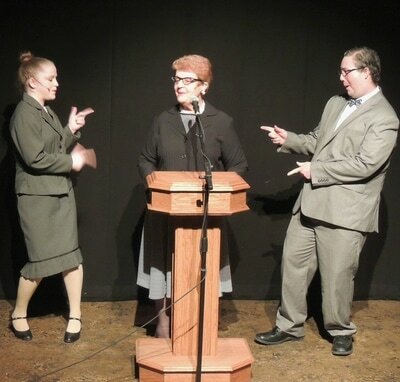 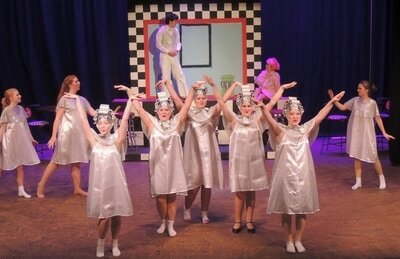 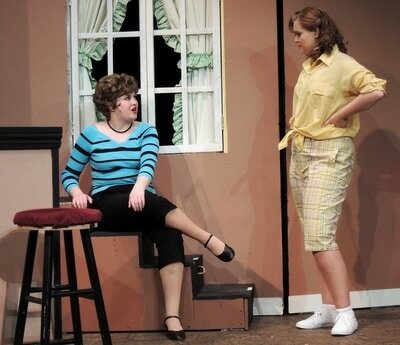 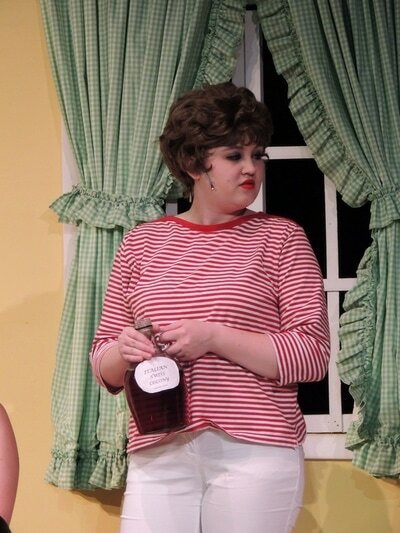 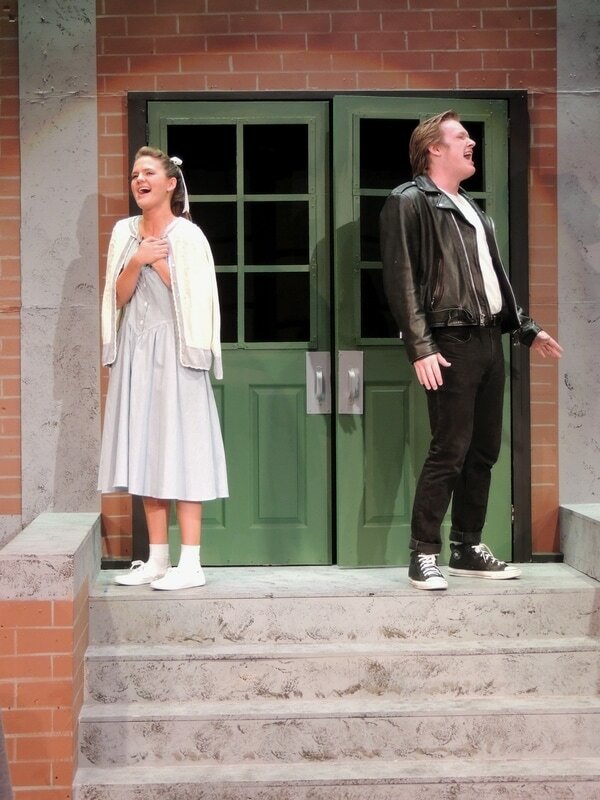 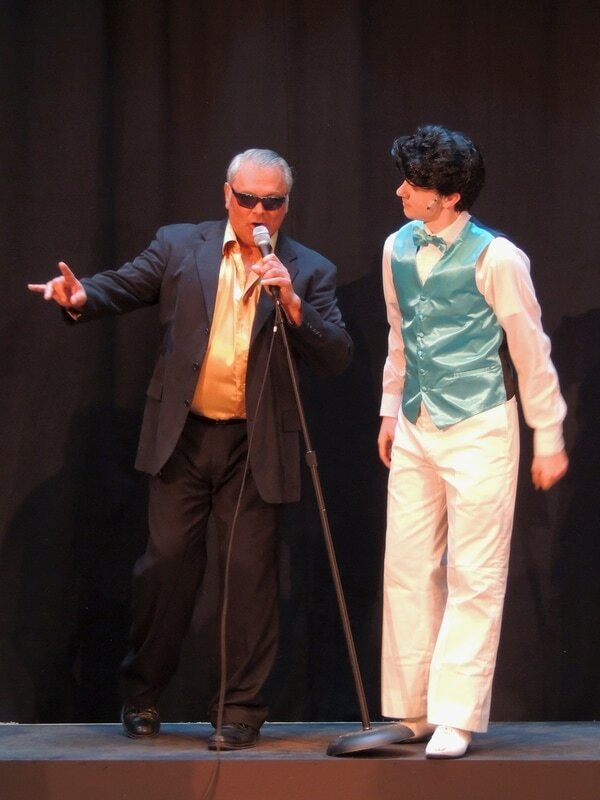 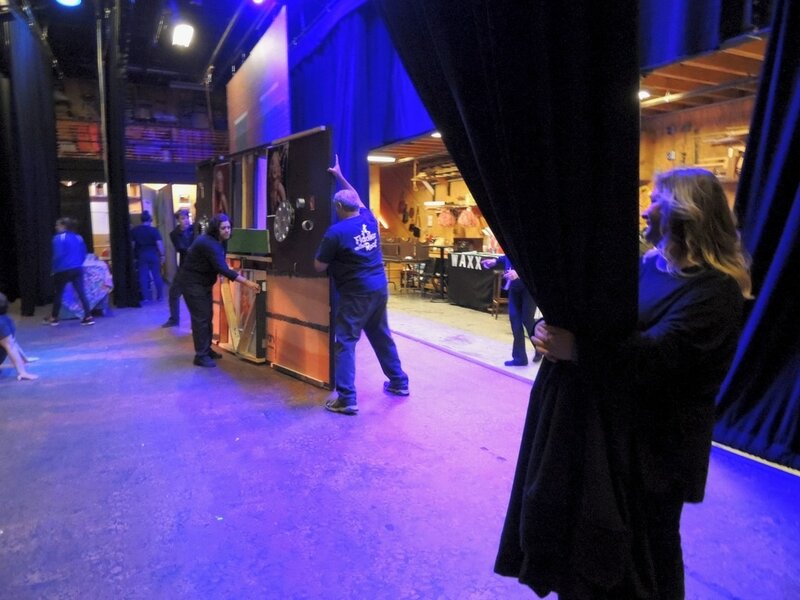 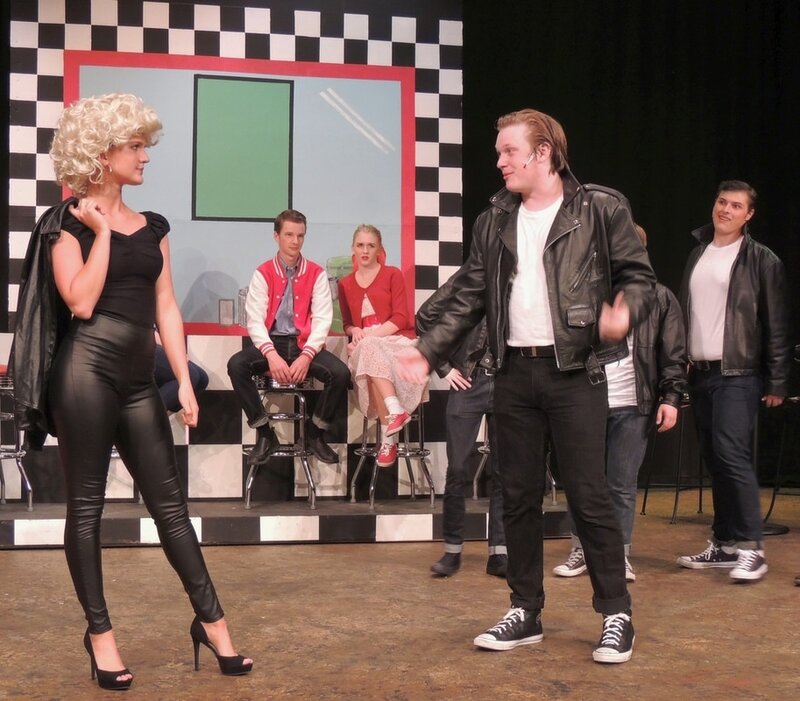 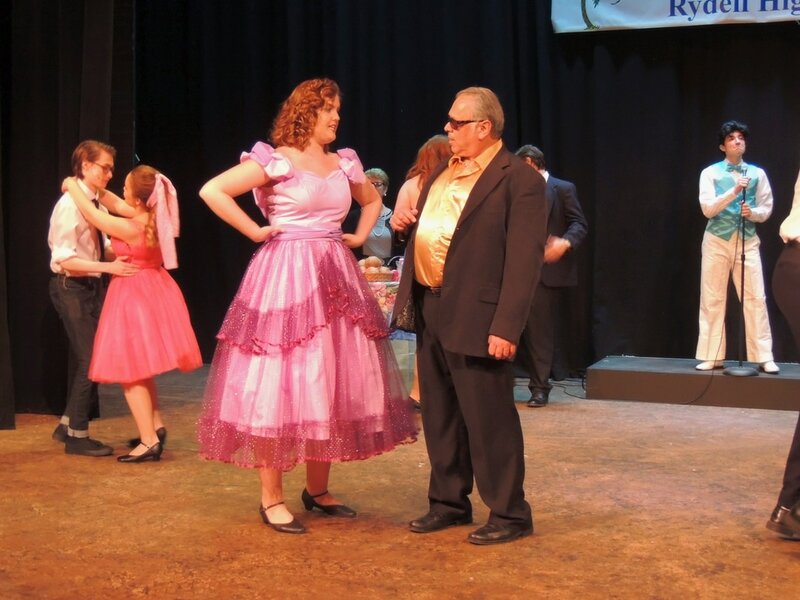 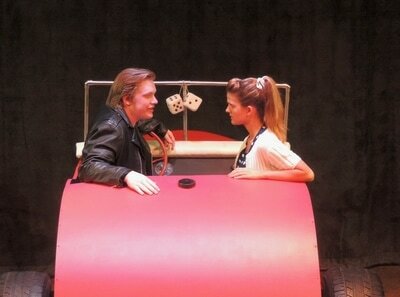 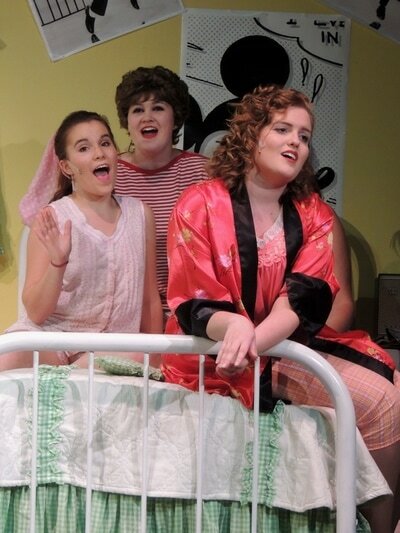 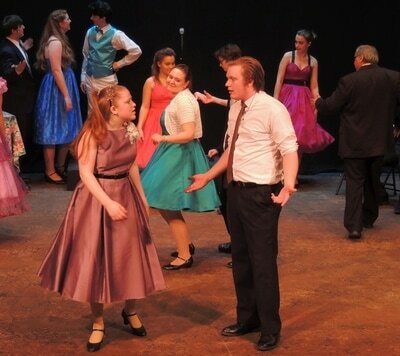 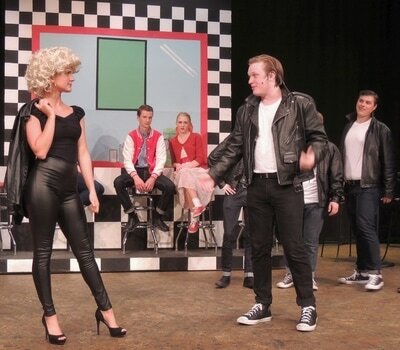 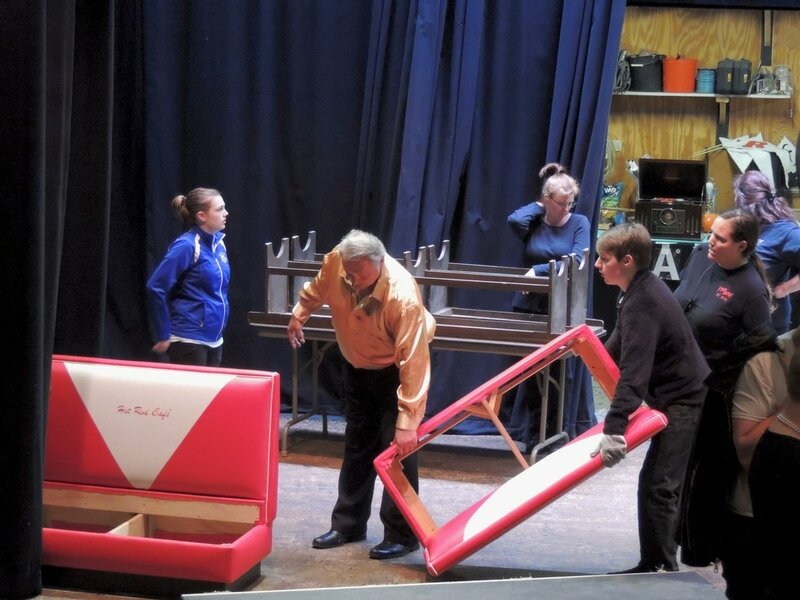 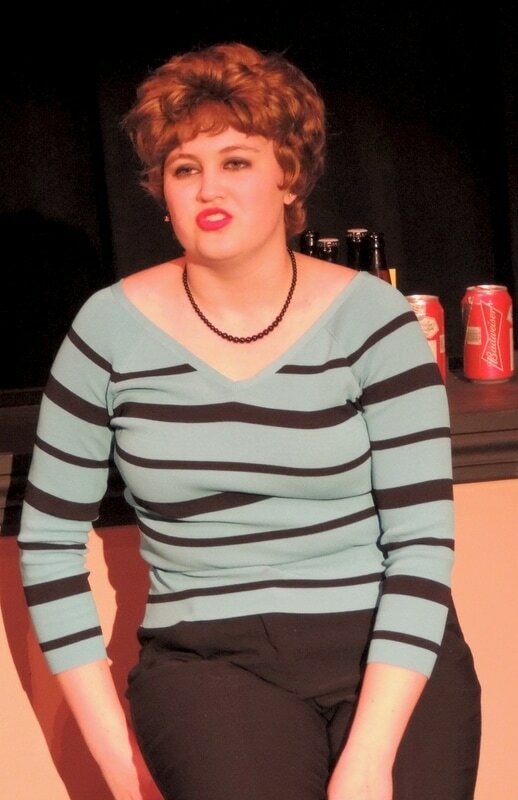 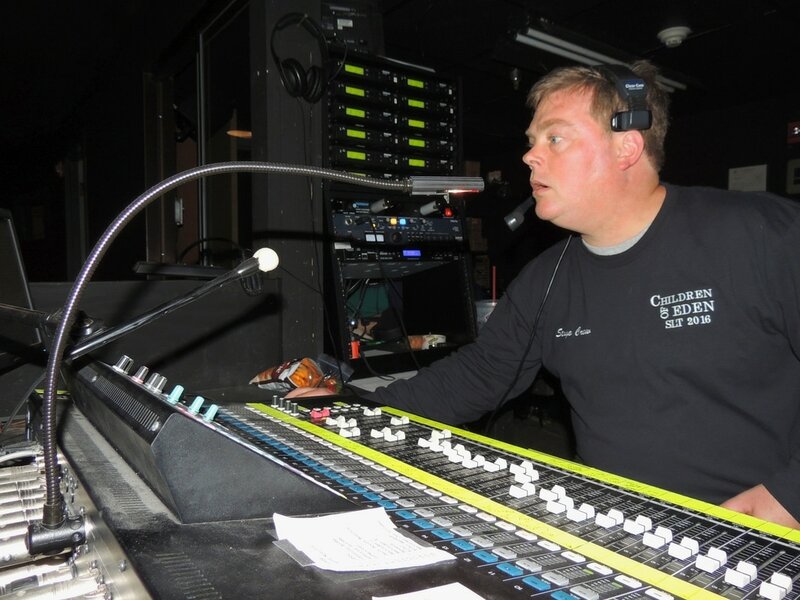 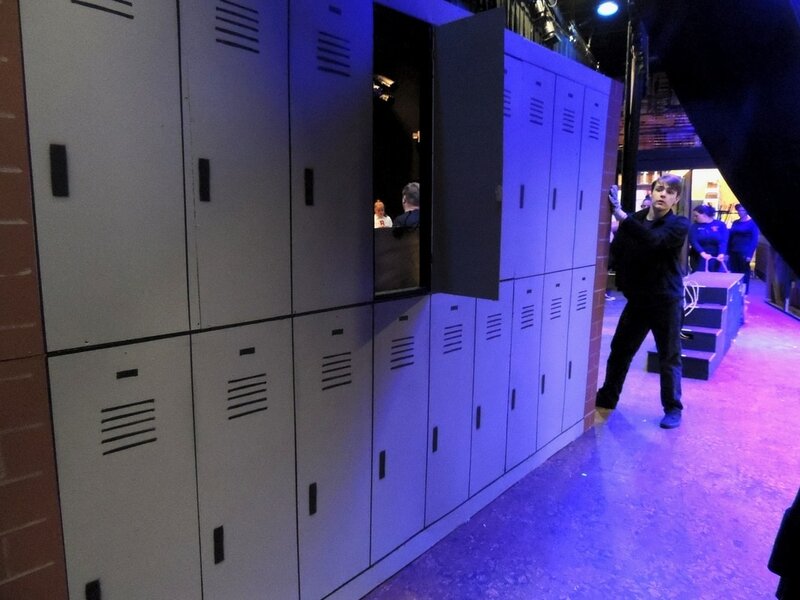 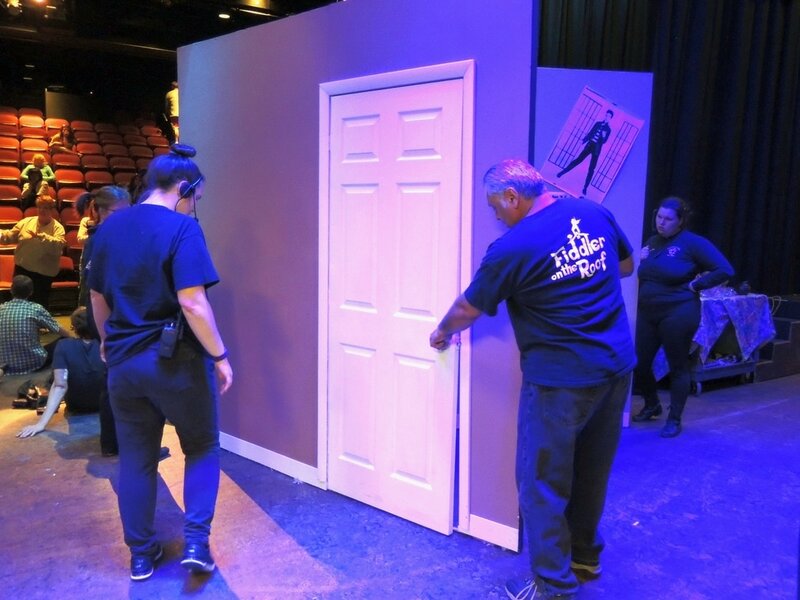 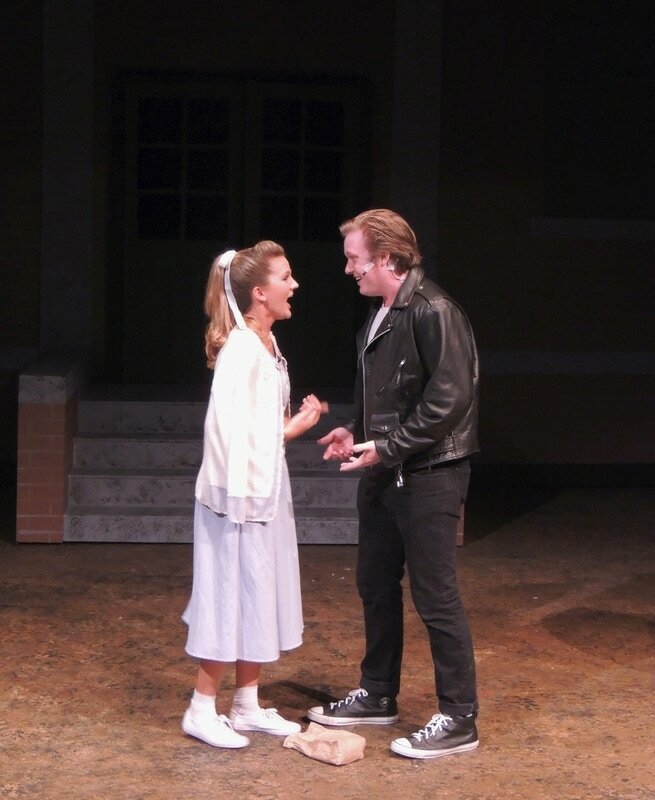 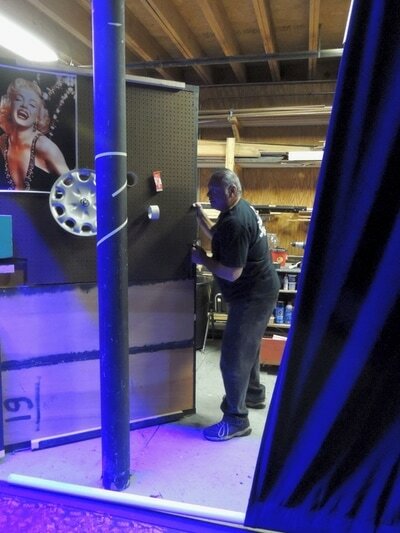 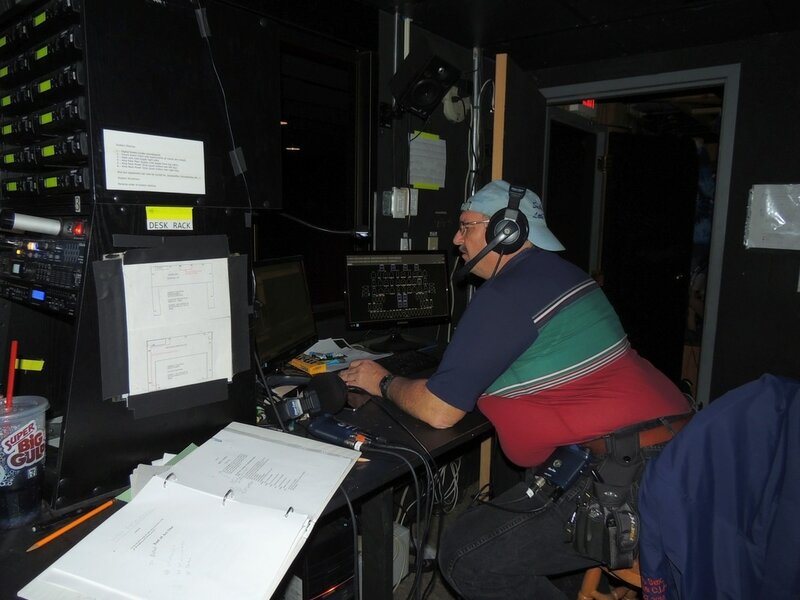 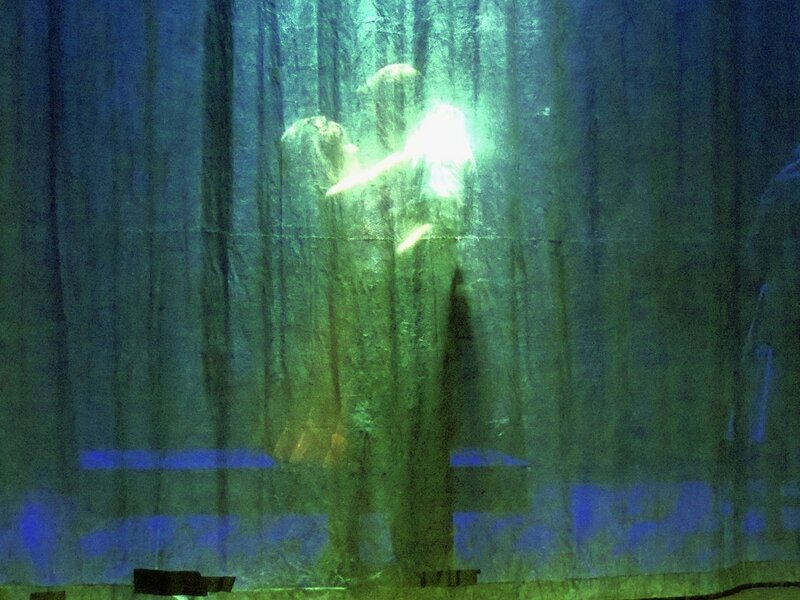 An eight year run on Broadway, and two subsequent revivals with innumerable school and community productions, place "Grease" among the world's most popular musicals. Book, music & lyrics by: Jim Jacobs & Warren Casey.